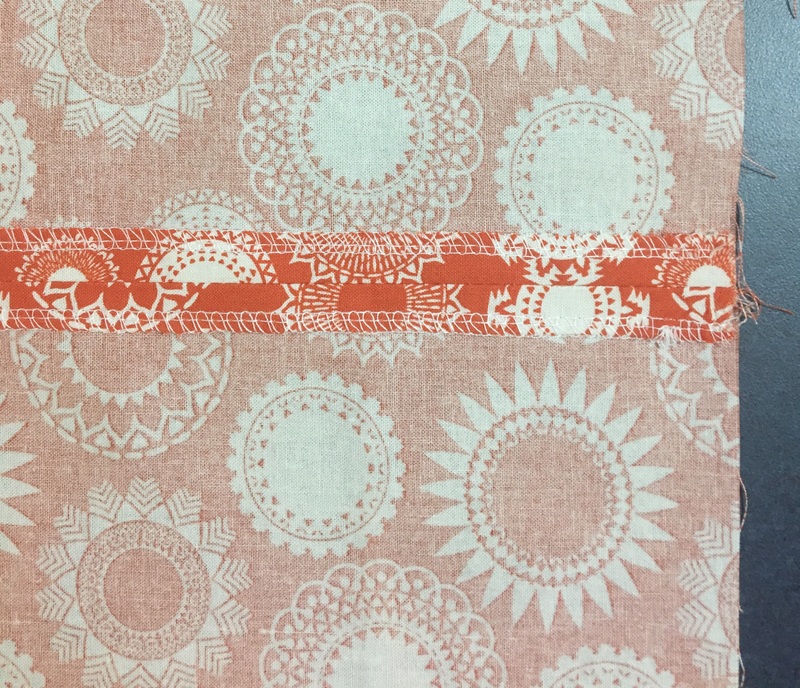 Pamper Stamper – Sharing experiences from my life, places I have visited, crafts I have created, and hoping to inspire other people in this journey we call life. Have you ever had something happen to you that made you feel like you have been crushed internally? That you can hardly breathe because on the depth of pain that is inside? All you can think of doing is crumbling to the floor and sobbing! You don’t want to be with anyone, see anyone, or even hear any words of encouragement from anyone. The hurt is so bad, that you literally feel heavy, despondent, despised, unworthy, useless and no good to anyone. You don’t feel suicidal, but you just know that nothing you can do will make you feel better (well not immediately anyway), you just are too emotionally hurt and sad! (Proverbs 17:22 NIV) A cheerful heart is good medicine, but a crushed spirit dries up the bones. (Proverbs 15:13 NIV) A happy heart makes the face cheerful, but heartache crushes the spirit. Prov 18:14 The spirit of a man will sustain him in sickness, But who can bear a broken spirit? I have had several experiences of brokenness in my life. Each time the crush of the hurt is so overwhelming, I want to run! I want to get as far away from the person/people that have hurt me, and never have anything to do with them again….EVER!!! Just the thought of the experience brings all the pain and emotion of the moment straight back to the present. And, I feel that deep sorrow all over again. It is just awful! Tears well up and I feel so sad inside. My immediate response is that I want to be alone. I don’t want to ever let myself be in a position where I can be vulnerable and open to being hurt again. I don’t want to be in any environment that I don’t feel safe, by just being me! So out come the walls of protection. I gain the ability to be around people but never let them get close enough to cause pain. Now remember, this isn’t physical pain, like a broken bone, or a bump that causes a bruise. This is an emotional pain that is so deep, that you feel the only one you can trust with your heart is yourself. The last time I felt such deep hurt like this was about 5 years ago, that was until yesterday! And I am sad to say that the damage of the moment, is still just as real and raw as the first time I experienced that deep wounding in my spirit, in the part of me that makes me, me! And here I am just 24 hours later and I have survived, once again. I’m not totally over the incident. When I think about what happened, I can easily feel that hurt coming back, but it is losing it’s power over my well being! How, you ask? Because if you are human and living around other humans, you are bound to get hurt, just like I did yesterday. So you too may have experienced the wounding deep in your spirit as well. Does God care about my (or your) brokenness? You bet! He is close to us and he saves those who are crushed in spirit (Psalm 34:18). Ultimately though we have the choice. (1) We can wallow in our hurt and self pity, or (2) we can choose to invite God into our pain, and bring healing. Sounds easy but believe me it’s not. (1) We can let the painful circumstances of life embitter us, and in a way that is the easy path, because somehow re-living the moment helps to remind us that our feelings are justified. We can blame the other person for making us feel that way! In an unhealthy way, by withdrawing from people, because people hurt, you are heaping more suffering upon yourself. The other people involved are continuing to walk the walk of life, without giving you a second thought, while you suffer, and continue to suffer! (2) Or you can address the problem full on. Ask yourself why the event happened, what led up to it, and were you yourself responsible in any way. Could you have done things differently? Then decide that whether you are an innocent victim or not, you have the ability to forgive those involved and move on in your own life. If you can’t forgive because the pain is so real and raw, then pray. Invite God into the pain! He gives us the grace to forgive others even when you feel they don’t deserve the forgiveness, or when you can’t forgive them in your own strength. A quote from that link says… God can take what has been broken and remake it into something better, something that He can use for His glory. Knowing the character of God and His desire to reconcile all man to Himself, helps to understand that reconciliation, where possible, is the best answer. In the past, I have withdrawn from people that I saw as hurtful and unsafe to be with, for long periods of time. I just couldn’t trust them again with my heart. But as I’ve got older and wiser (am I kidding myself? ), I’ve realized that it is not God’s way. He desires reconciliation. My first choice of action, once I have had time to recover from the shock of the ordeal, is to talk to God, and pour out my pain to Him. I pray/cry/shout out the injustice, and tell Him all about my pain. The next thing I do (maybe not immediately) is apologise to the person/people that have hurt me. Whether I am the guilty party or not is irrelevant, taking ownership of the event that took place is a key. Because actually, it wouldn’t have happened if you weren’t there! So in a way you are also responsible. Also, the act of apologizing opens up the communication again. I didn’t want to even be in the same room as the person who hurt me two days ago (it has taken me a couple of days to write this), but yesterday, we sat together and talked about the differences in our personalities, how we react to situations differently, and that we still love each other in spite of our differences. And there was healing! We both admitted that we had a really bad sleep the night of the event! So we were both affected by it! Thank God it is now sorted and finished with. Sadly, other times you make offer of an apology, and try to reconcile and open up the lines of communication again, but the other party isn’t interested. Five years ago that happened to me. 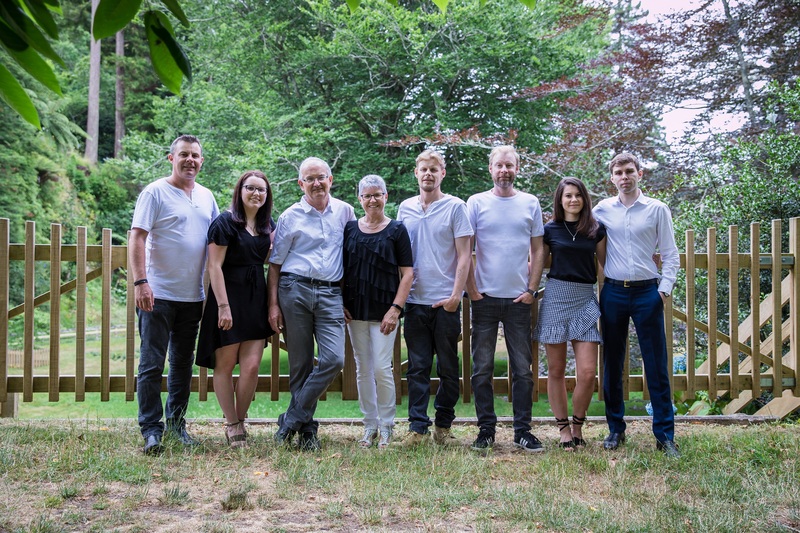 Instead of seeking reconciliation, they justified their actions, got defensive, and made little acknowledgement of the pain involved in the whole process. Well certainly not mine. I felt of no value to them and that I wasn’t worth the effort of being loved and understood through the pain. They were prepared to lose my friendship and move on in life without me. And that hurt! But knowing that I was prepared to have a relationship with them again, brought me freedom to move on with my life. I now see them regularly and it doesn’t hurt. I want them to have a great life, but I am aware that we will possibly never be as close as we once were. Maybe our friendship was just for a season and it came to a natural end. Living through the painful events that caused the breakdown was horrendous, and I can still remember the grief it all caused. But by chosing to forgive, and then to continue living, and loving others, has brought healing. Some relationships that end rather painfully, and forgiveness has been sought, and reconciliation has been made, may still never continue as they did in the past. But that is okay if reconciliation has happened. Neither has been left with the wounds of the past unhealed. Sometimes, the unhealthy thing to do, is to actually to try to continue with the relationship. As long as there are no bad feelings or wrong attitudes held against the other person/people. You can just continue to pray for them and ask God to bless their lives. Today I feel great, and although sad the event happened two days ago, I am at peace with the outcome. We will continue our friendship and value each other whole heartedly. 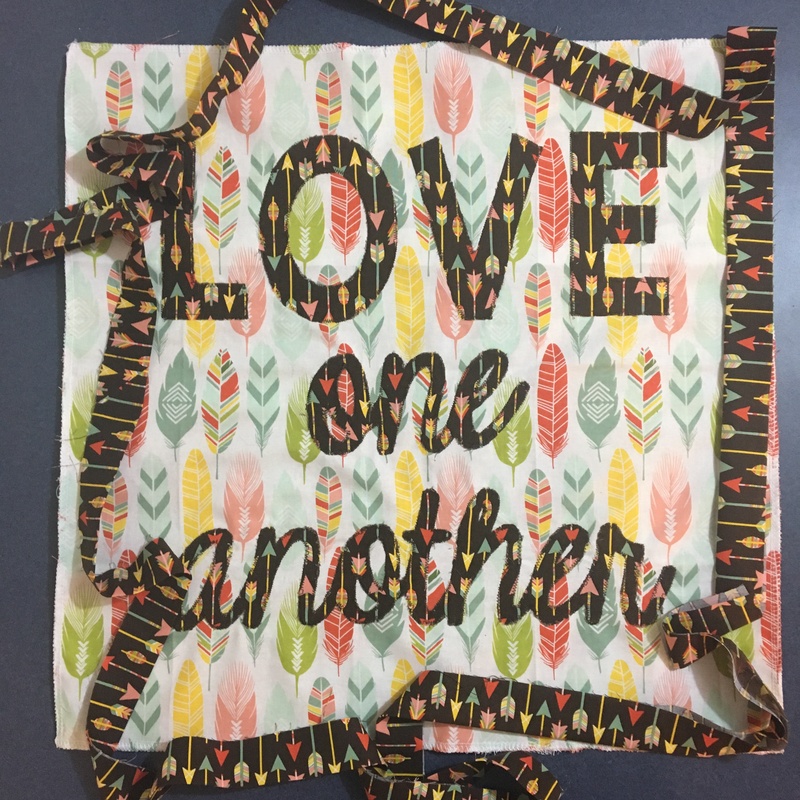 And love each other. This was one of the best impulsive decisions I have ever made. 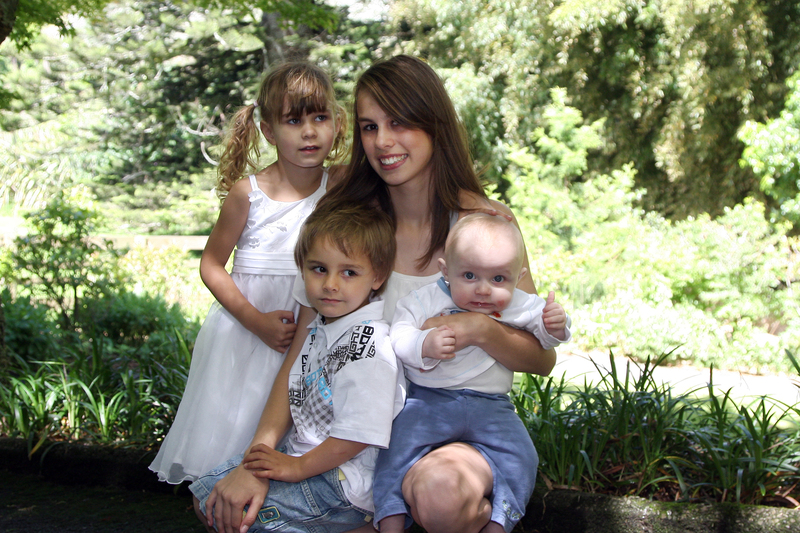 Years earlier, when my two youngest were teenagers, they used to sing Taylor Swift songs all day long! I got to know the songs pretty well, and I really liked them. I appreciate that Taylor is a very gifted musician and singer, and always thought it would be great to see her on stage one day. So in August of 2015, I’m sitting at home, with my iPhone beside me, when an alert arrived. 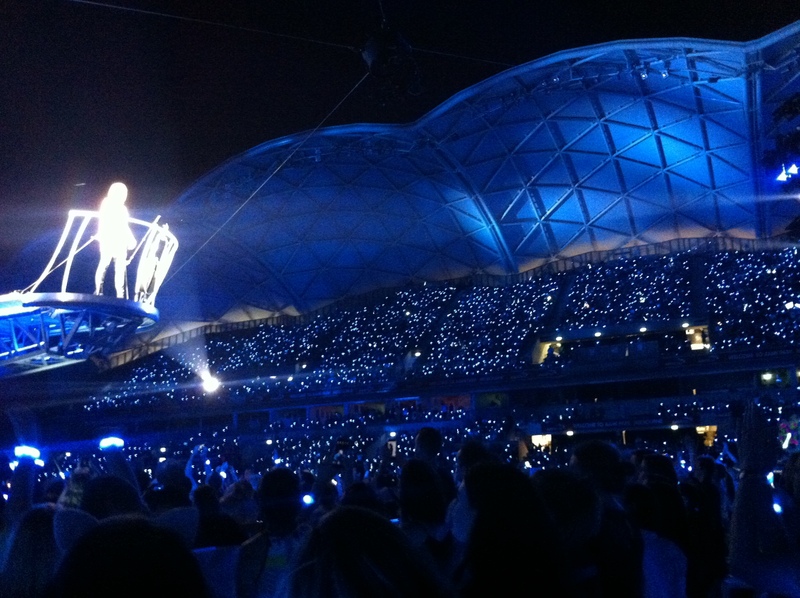 It was Air New Zealand advising that Taylor Swift has added another concert to her Melbourne tour. The tickets could be purchased immediately and only a limited number available! Her two already planned concerts were sold out! That was enough for me! I purchased 4 tickets! This was a travel, airport transfers, accommodation, CD, T-shirt and show pass deal. The show wasn’t until December, but that gave us enough time to organize life to fit in with this impulse buy… I hoped! 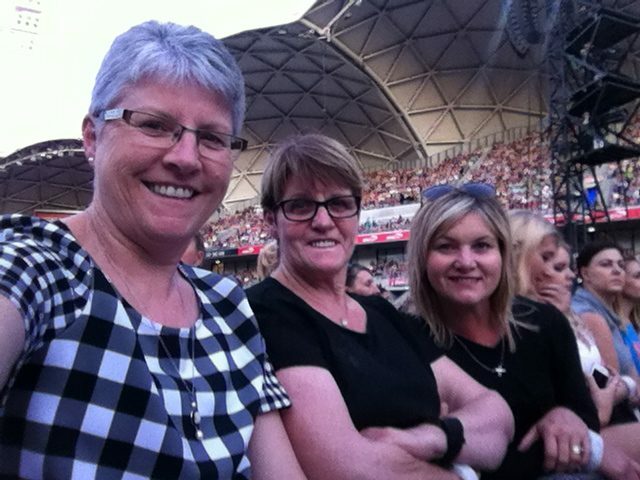 It all worked out nicely, and in December us girls took off for Melbourne to see Taylor perform. I think I was actually the most excited! 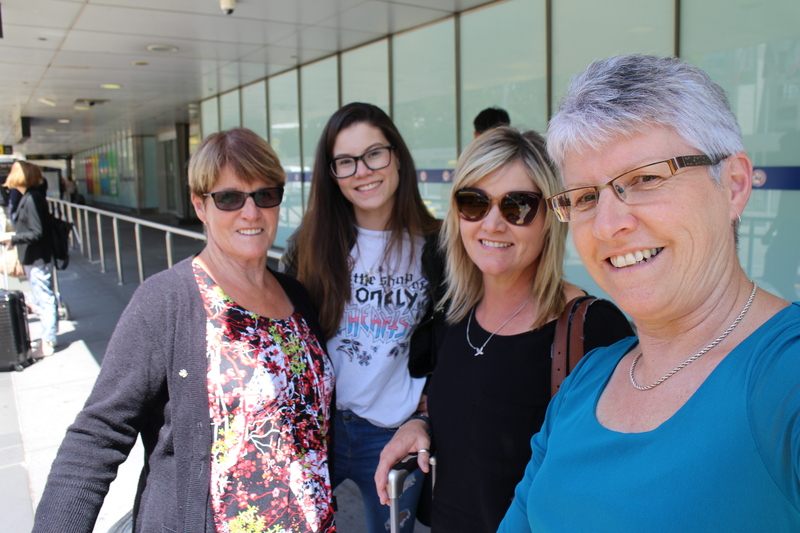 Us four at the Airport! 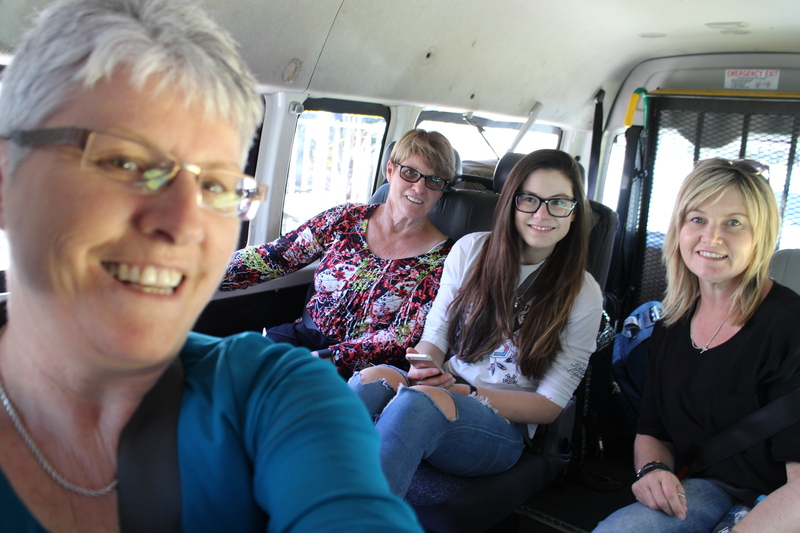 Us four very excited ladies on the transfer from the Melbourne airport to our Hotel. The bonus was we had all afternoon free for shopping and then again the following morning. 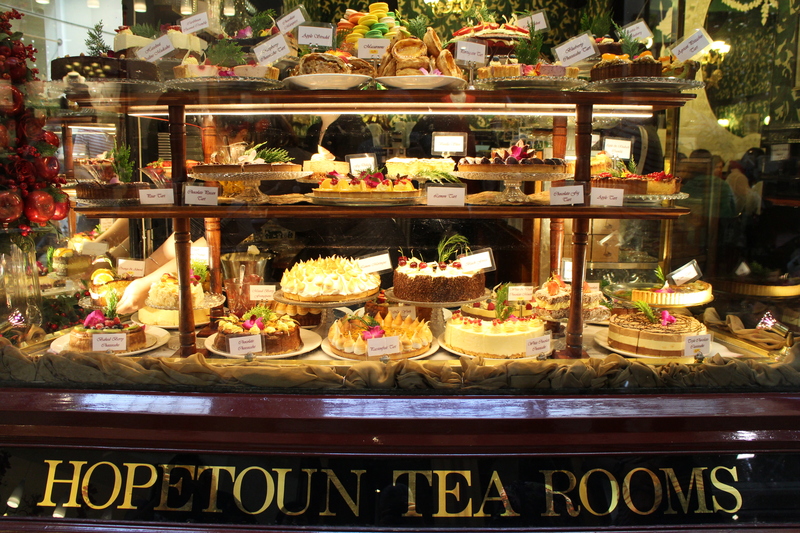 Melbourne is a great city for shopping! This girl can entertain! And her talent is amazing. The whole show was just wonderful, and I was just stunned at how many songs I knew, and could sing along to. The show was well worth going to. We weren’t too far from the stage, but every now and then Taylor would be standing on a platform which moved out and across the crowd. She ended up singing almost right in front of us! And what a voice! Who said that Nanas can’t enjoy a good rock star hey! 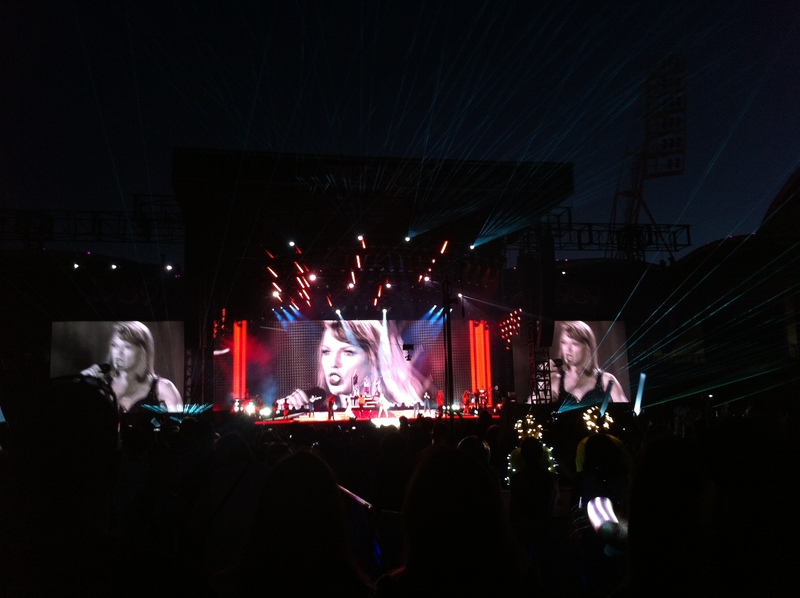 This November, Taylor has another show. 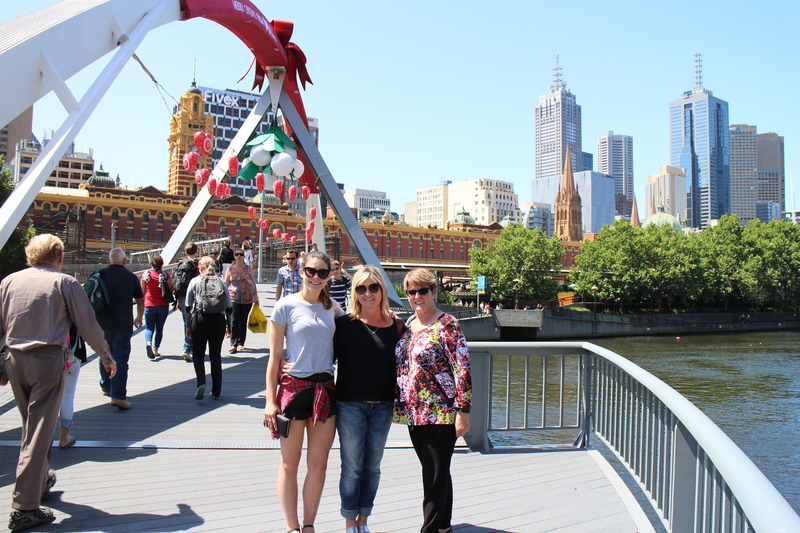 This time it’s in Sydney, and my eldest grand daughter is taking my 12 year old grand daughter, her sister. Do you think Nana Pam should buy tickets and go join them? 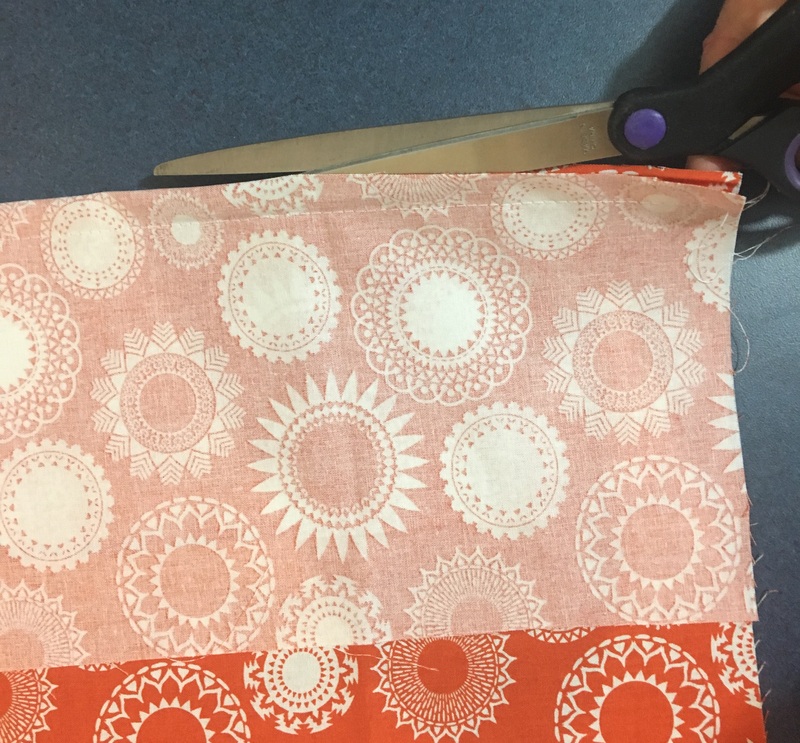 Easy Zips and Binding a Cushion. 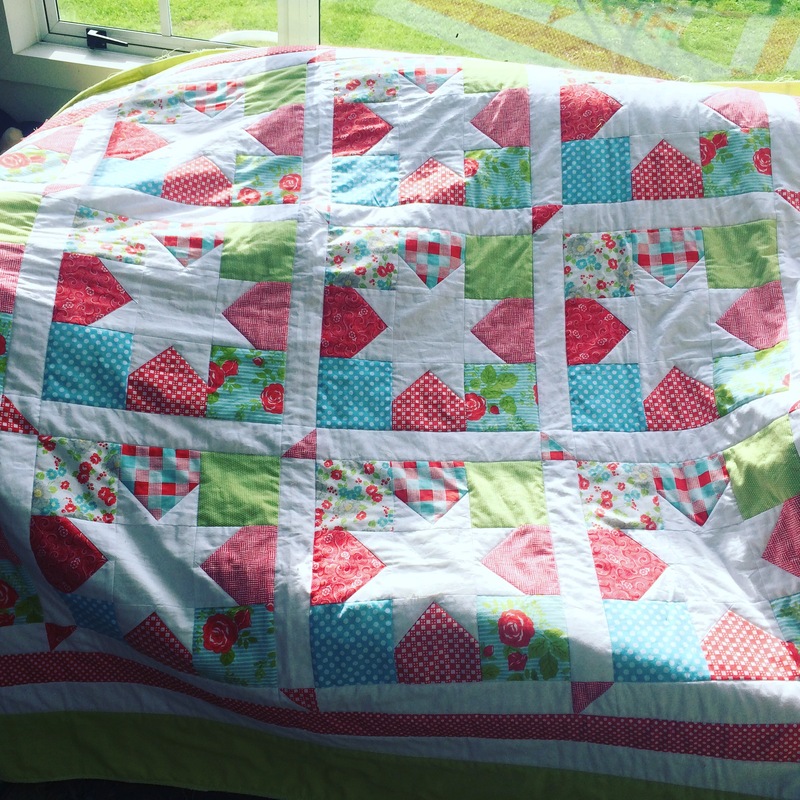 I have been sewing for years, having learnt most of my techniques from my sewing teacher at high school. That was approximately 46 years ago! 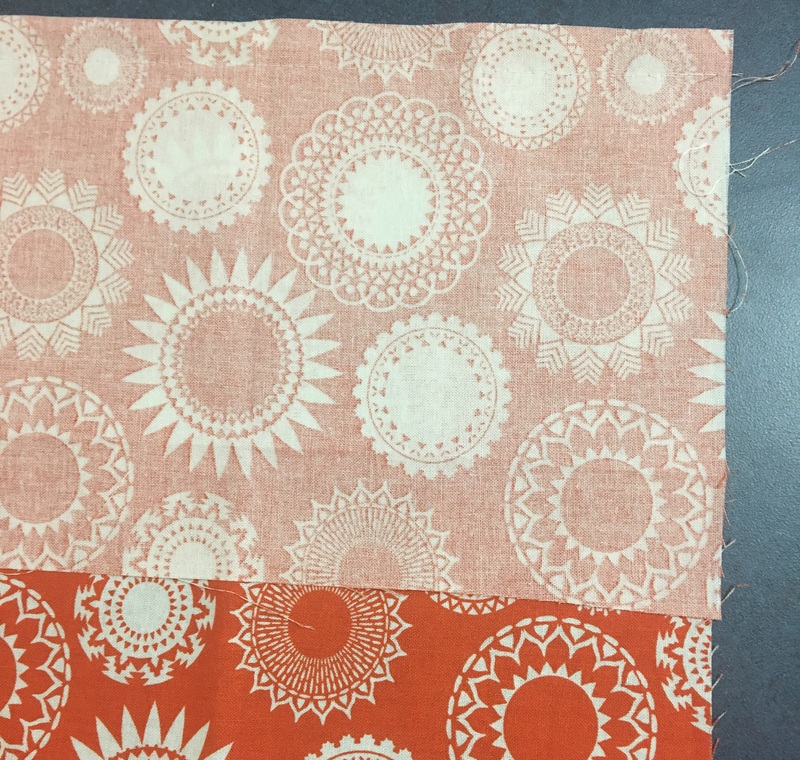 Over time I have been able to sew most things, so my teacher did a pretty good job of teaching me. 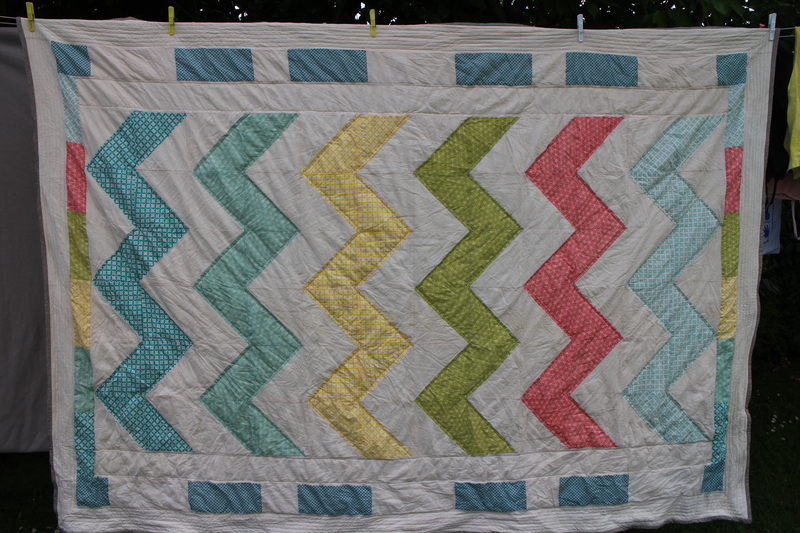 Having a seamstress as a sister was also pretty helpful, and she was great for giving advise or help when needed. About 6 months ago, I decided to recover the squabs in our caravan, and looked to ‘You tube’ for instruction. 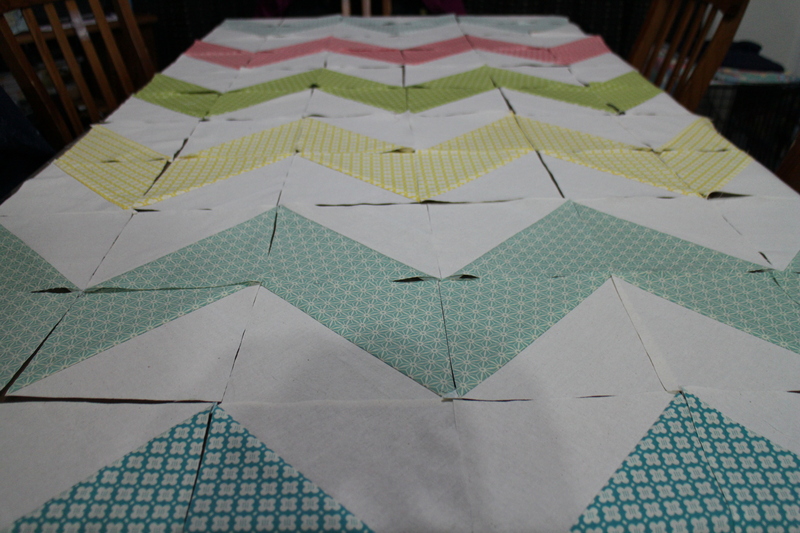 I wanted to make box shaped squab covers. 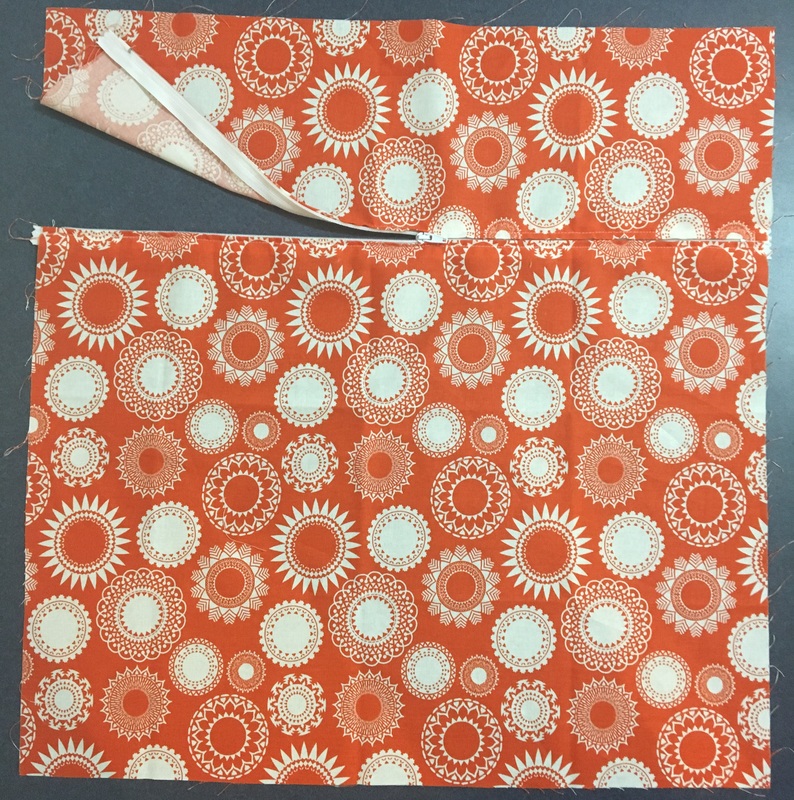 I had the idea of how to make them, but watching a video of someone else sewing these covers, helped to confirm the technique. 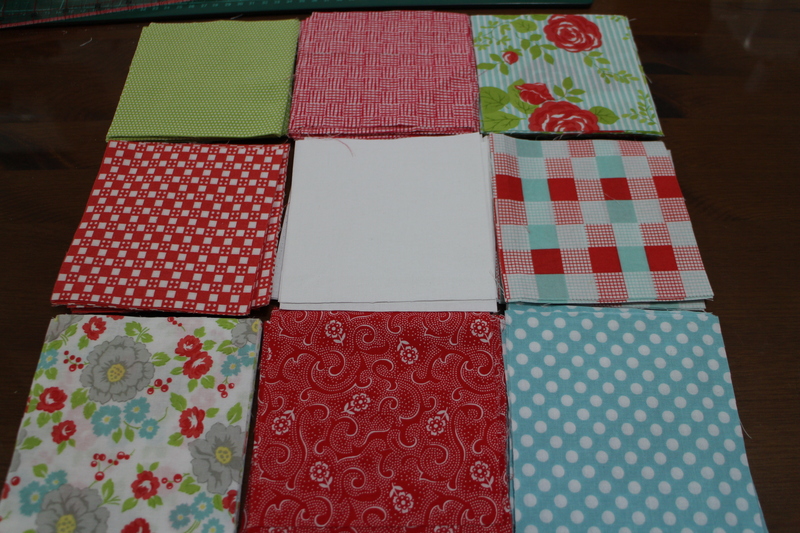 It was while I was watching them, that I saw of a new process to me, of putting zips in. 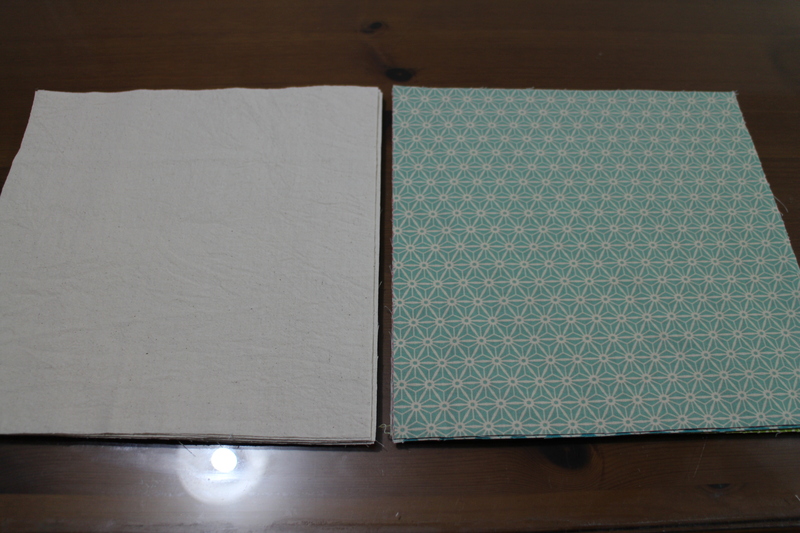 And I used that process on the squab covers. It was so much easier and quicker than my old way. 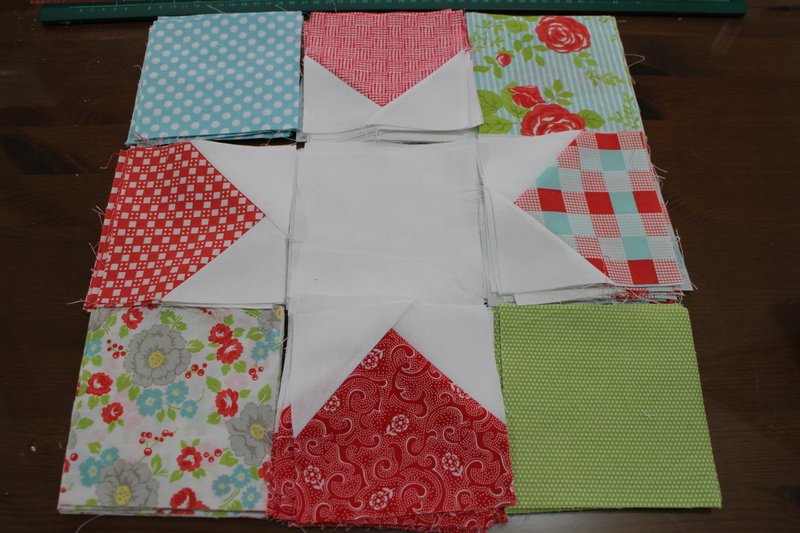 I am making a cushion cover and this is a fat quarter that I am using for the back of the cushion. It needs an opening for the soft pillow insert. 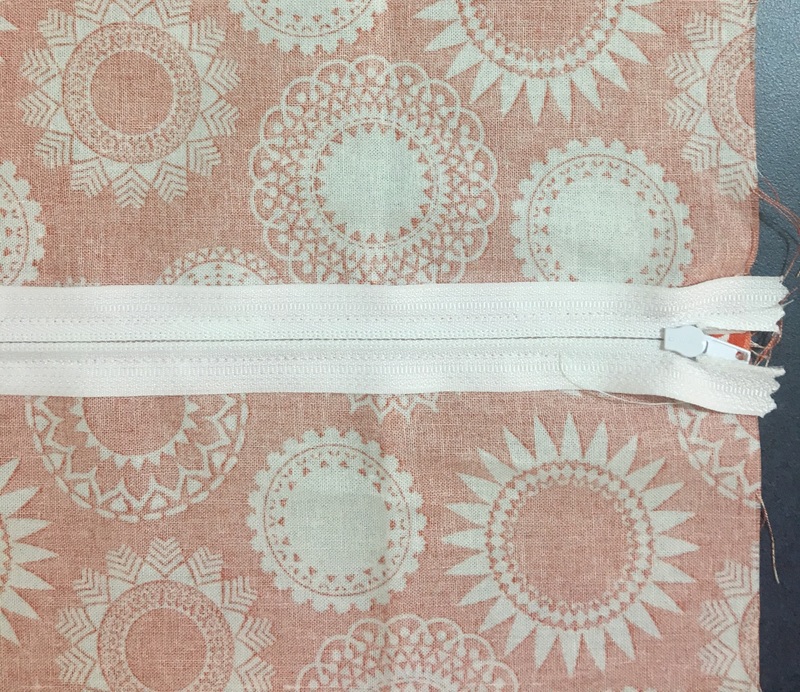 The best way for that opening, is to put in a zip that is just under the size of the width of the cushion. 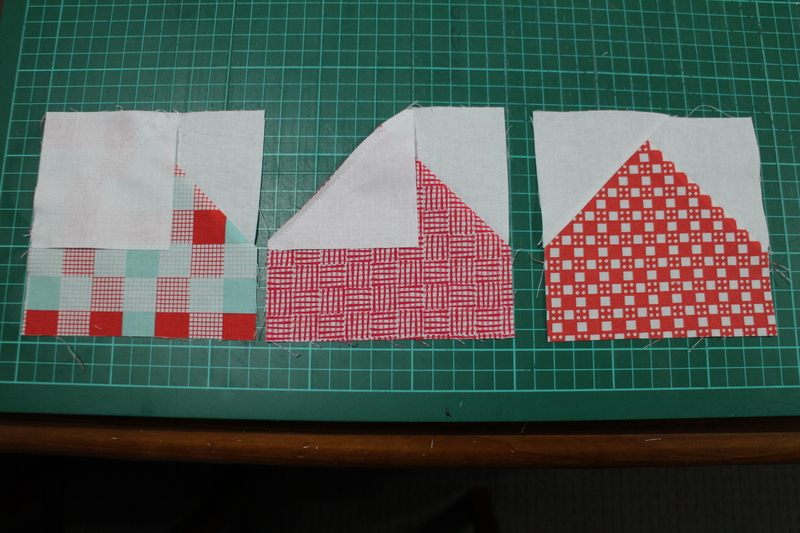 I have folded over the top of the fat quarter and sewn a seam about a half inch in. 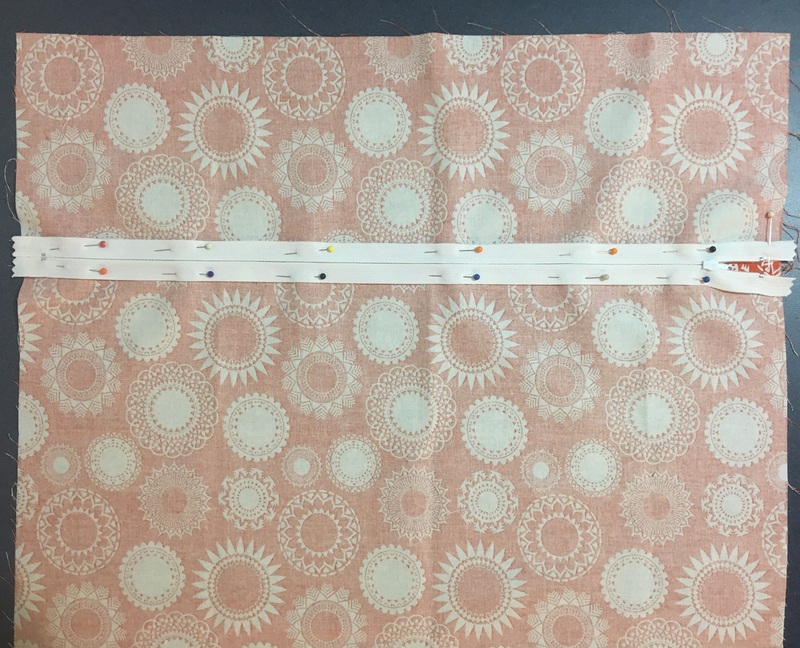 This seam is sewn in the biggest stitch possible, as it will be taken out at a later date. 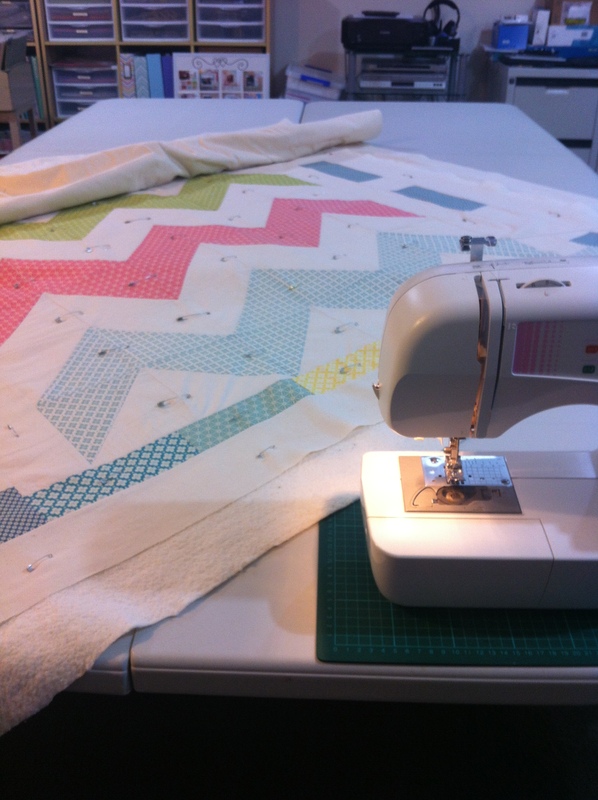 A big stitch length is easier to unpick! 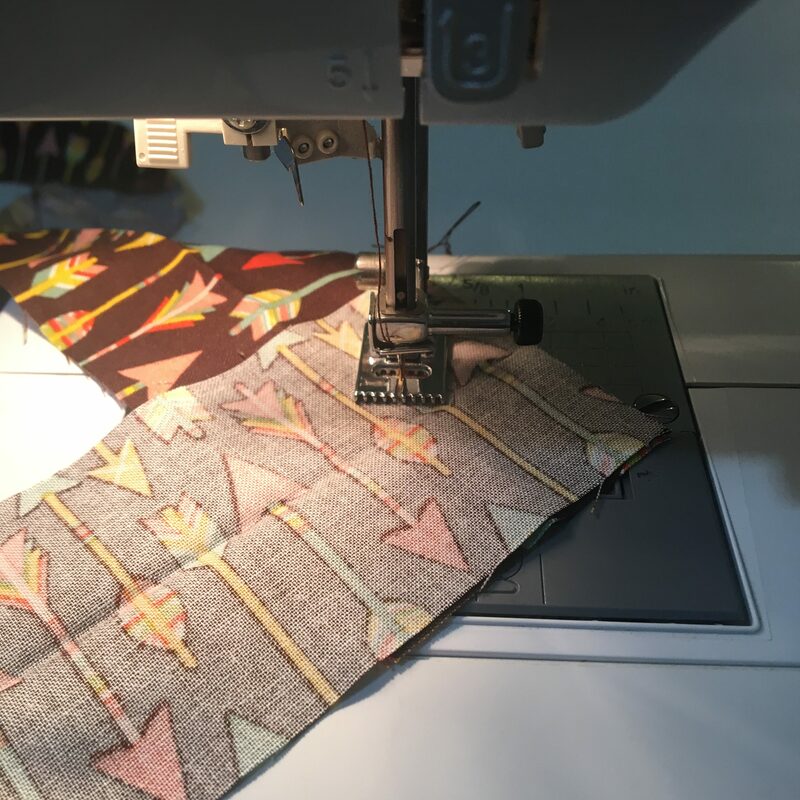 Overlock the seam edges, and press open the seam. 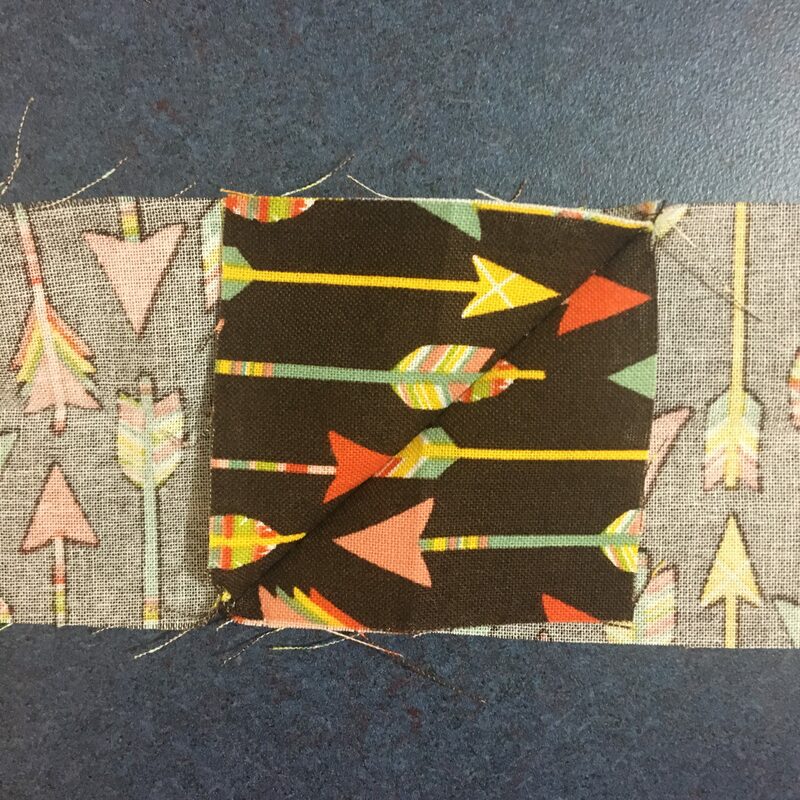 Now place the zip on top of the seam, making sure that the zip opening is right on top of the sewing stitches. 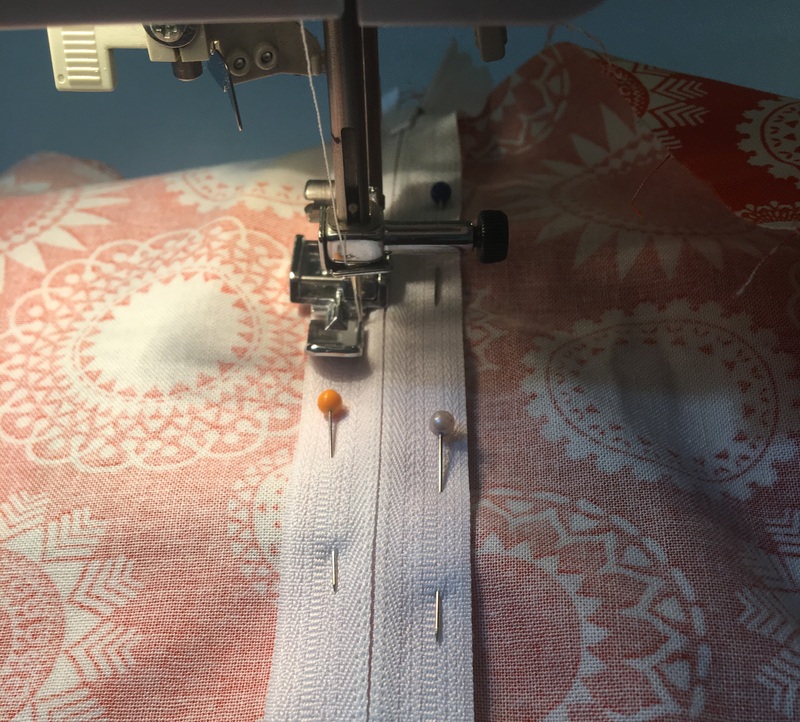 Sew the zip in with the zipper foot on your sewing machine. It is a little tricky around the zip pull. 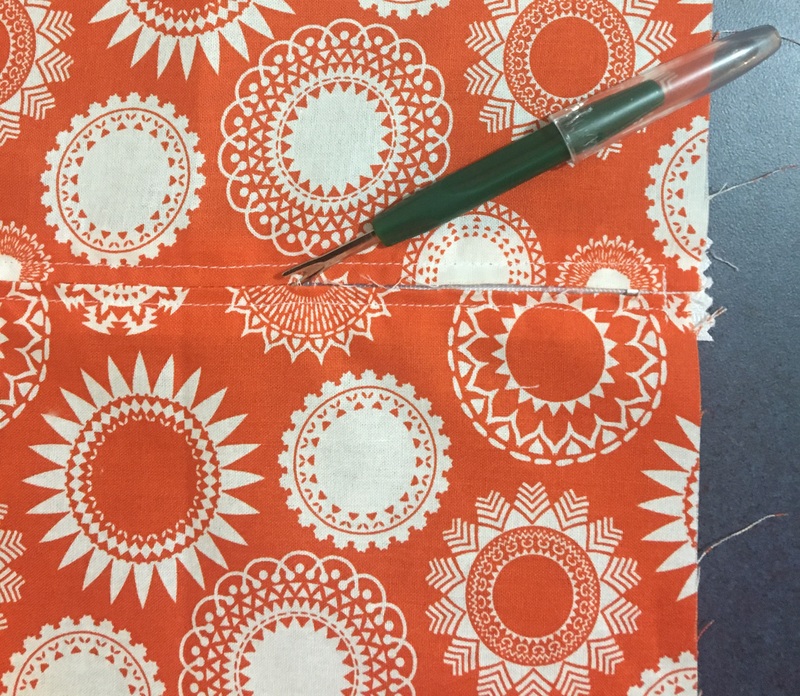 I stop sewing, adjust the zipper pull, and then restart sewing again. 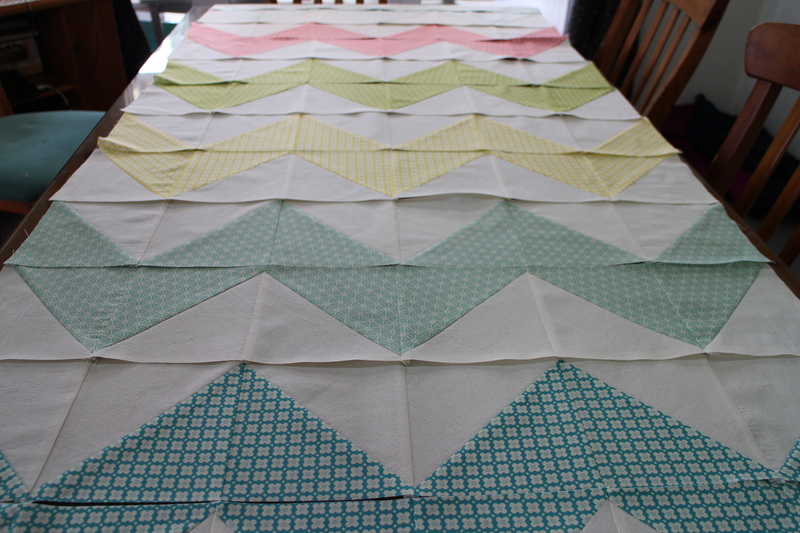 You can see by the photo above, that I have stopped sewing about 2 inches from the edge. 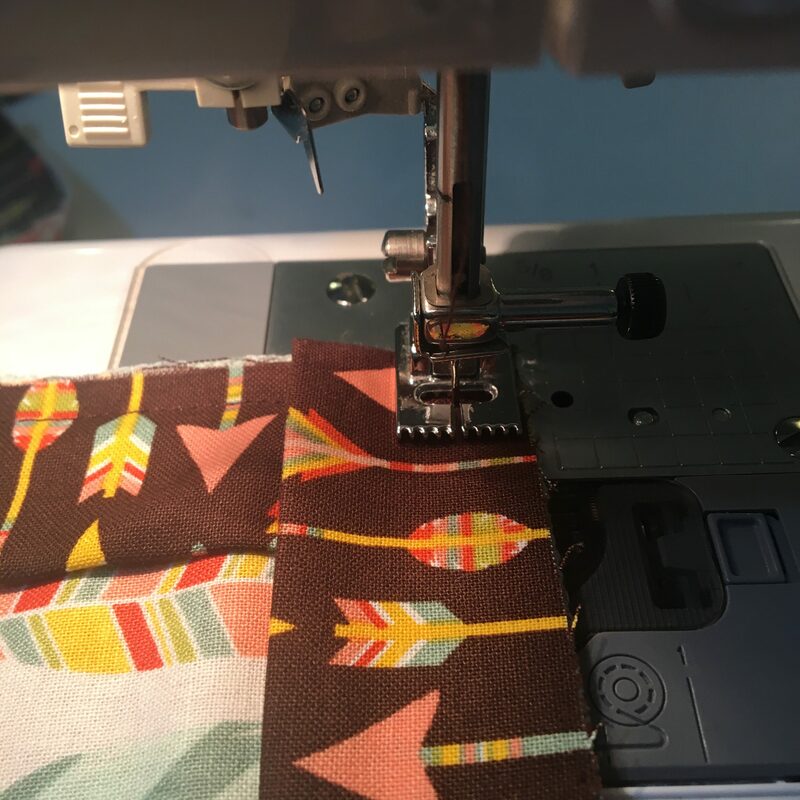 This is so I can undo the seam a little to allow the zip pull to move away from the sewing machine zipper foot. Now just finish sewing the zip in. 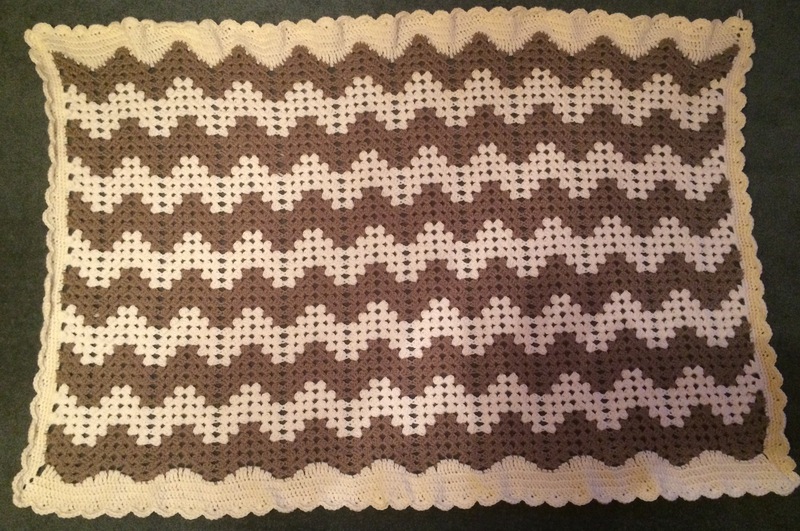 And you now have a zip in the back portion of your cushion cover. How easy was that? 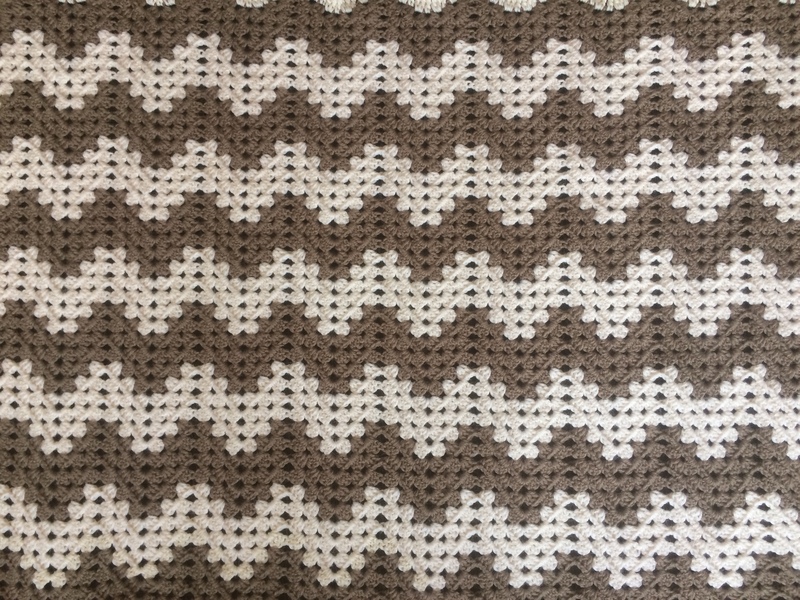 I had already made the front of the cushion cover. 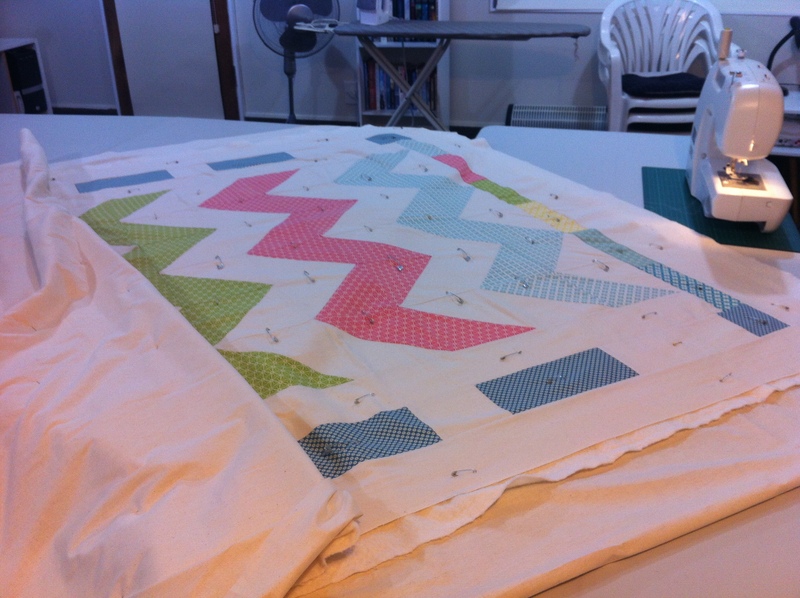 As I like to bind the edge of the cushion, all I have to do is place both pieces together and overlock the edges. 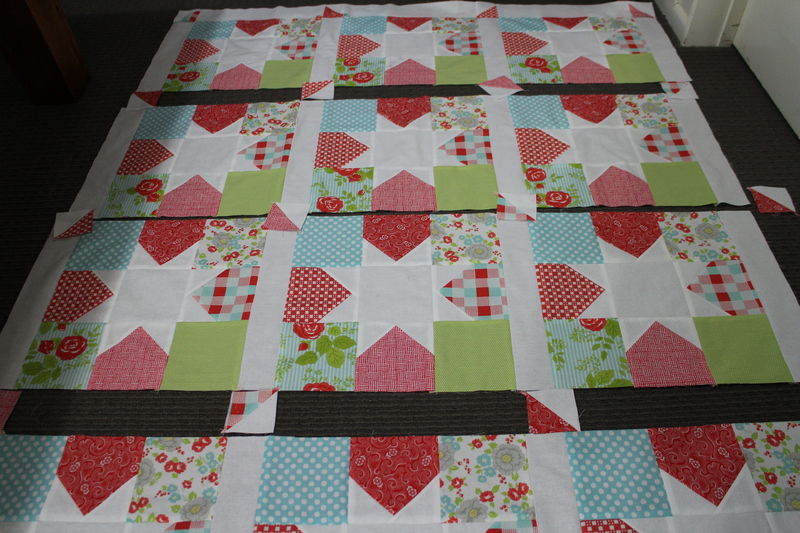 This helps to keep it all neat and tidy while you commence the binding. 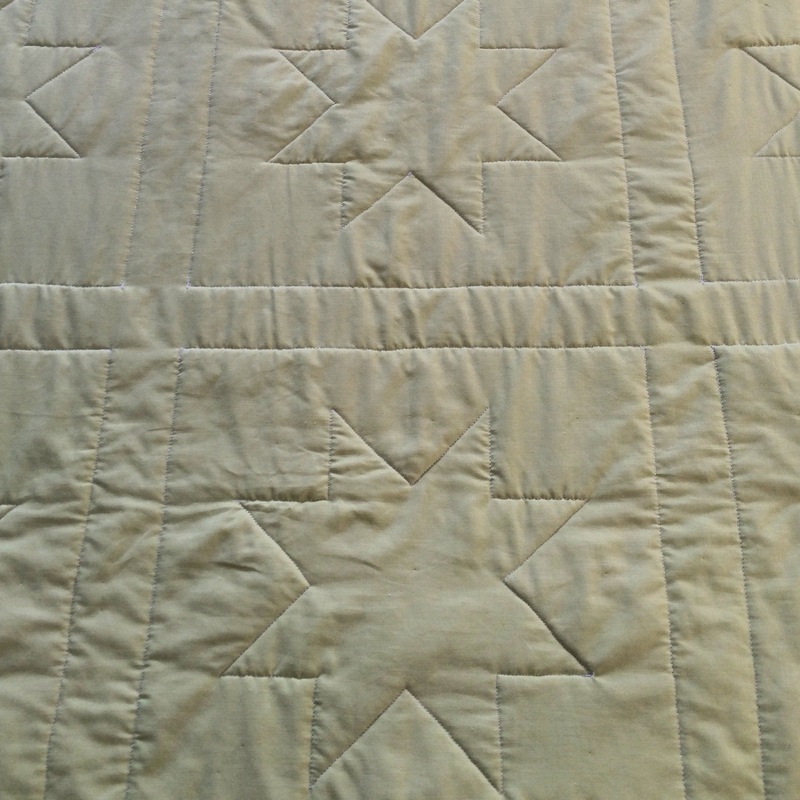 The two pieces are held together by the overlocked edges. Note both good sides are facing out. 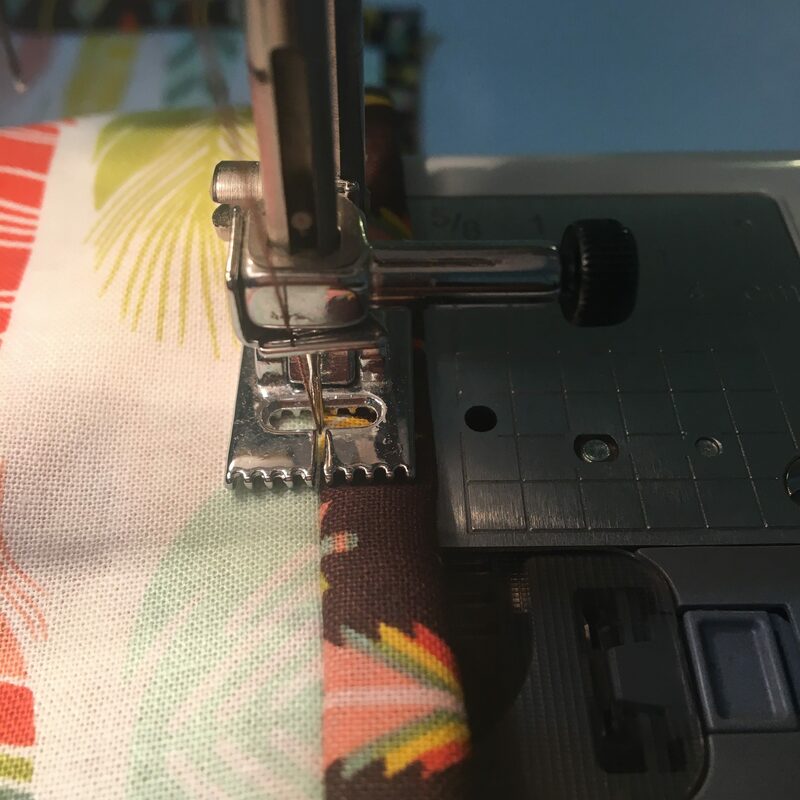 Make sure that you have enough binding to go right around the edge of your cushion. You need to leave an nice long tail as you start sewing. When you have gone around, stop about 8 inches from the start point. 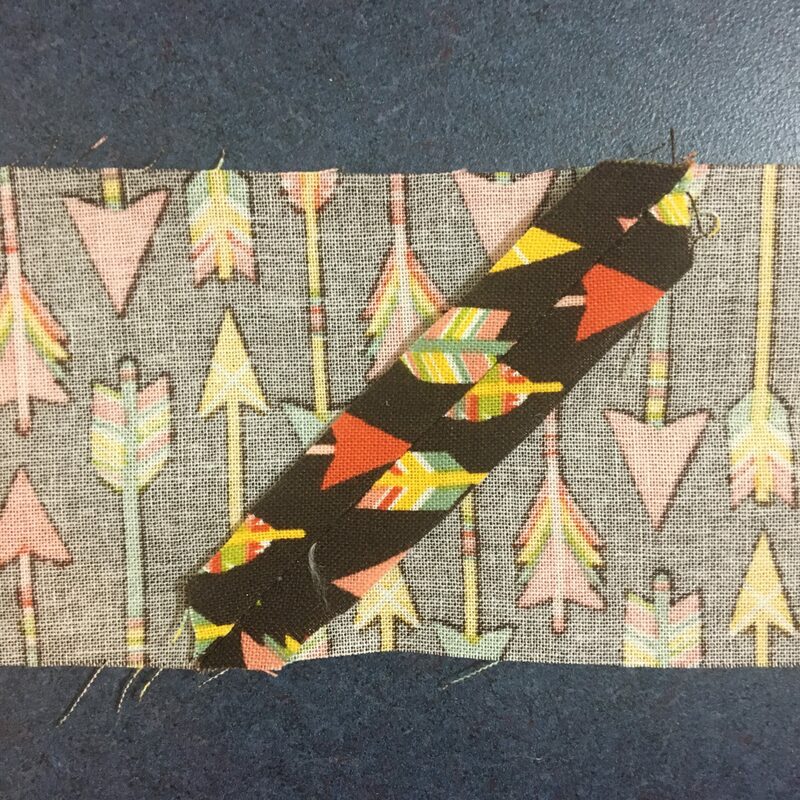 You will need to lay the long tail from the start on top of the binding left over at the finish. 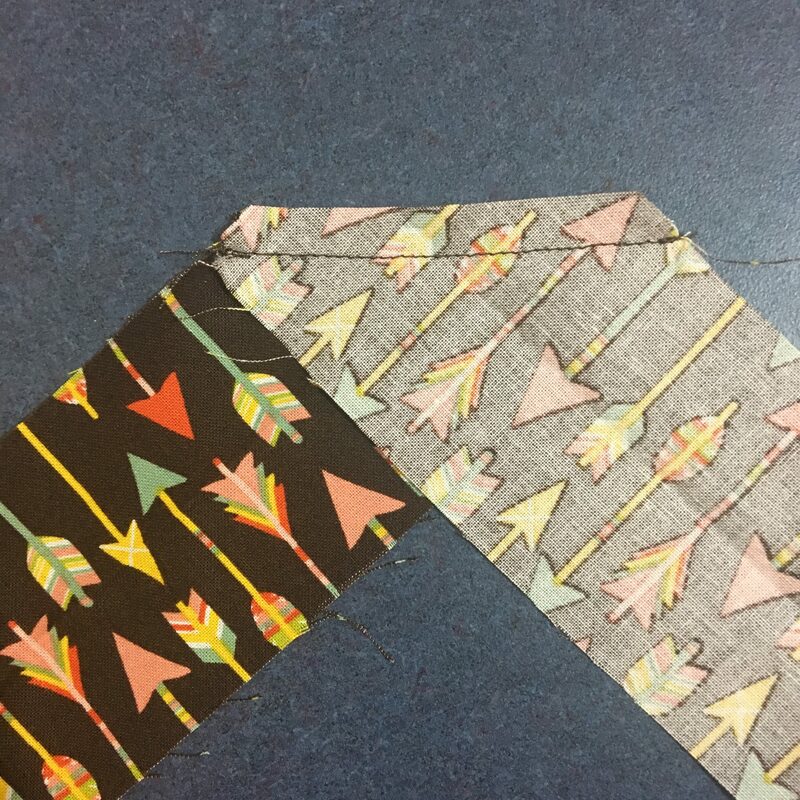 The overlap needs to be the same size as the width you cut the binding. Mine is 2 and a 1/2 inches. 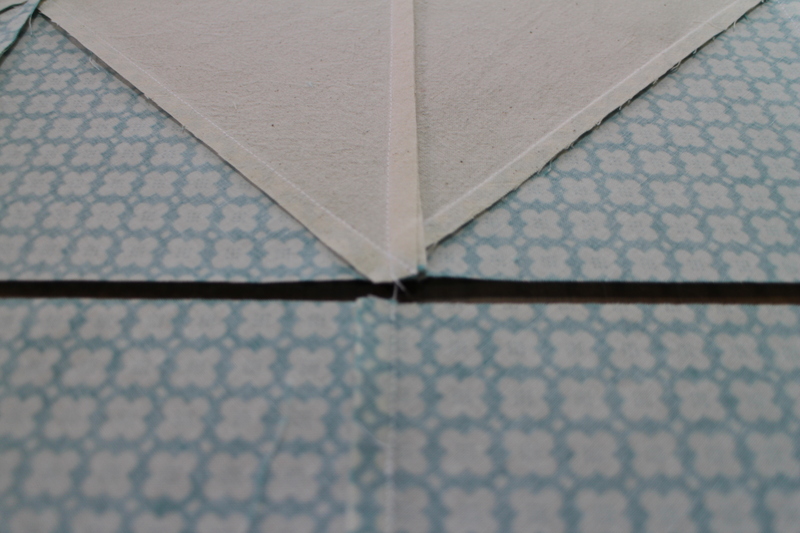 Cut the two and a 1/2 inch overlap and discard the rest of the binding. 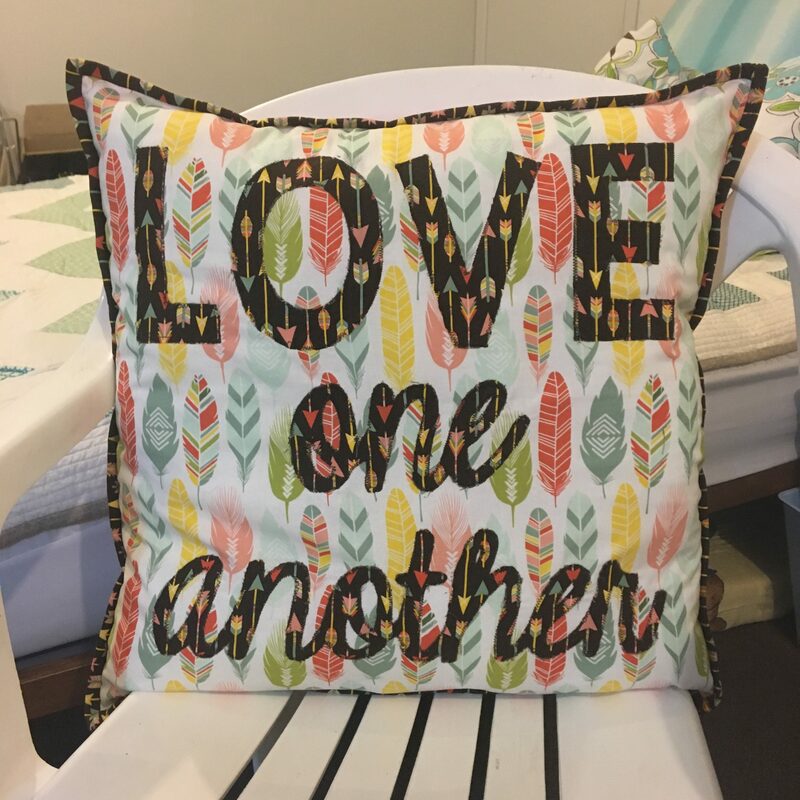 You can join the two together , and you will have the exact amount left to finish off binding the whole cushion. 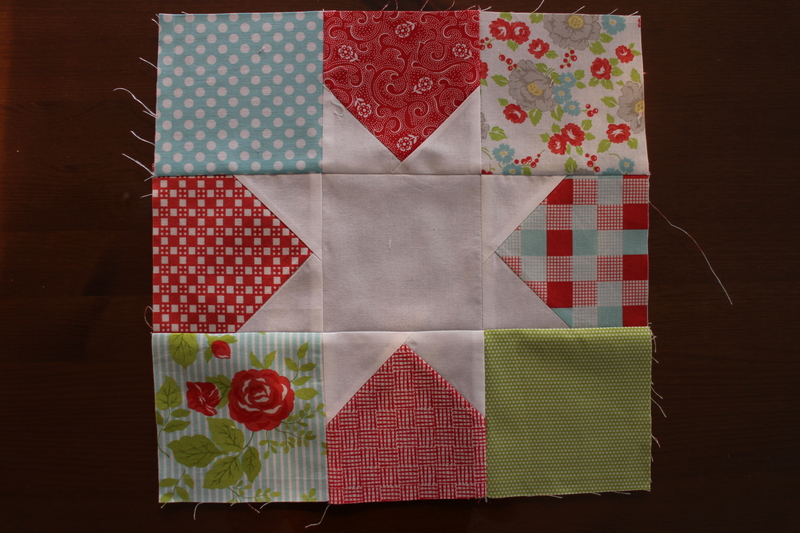 When you get to a corner, you will need to sew up to a quarter inch before the edge. 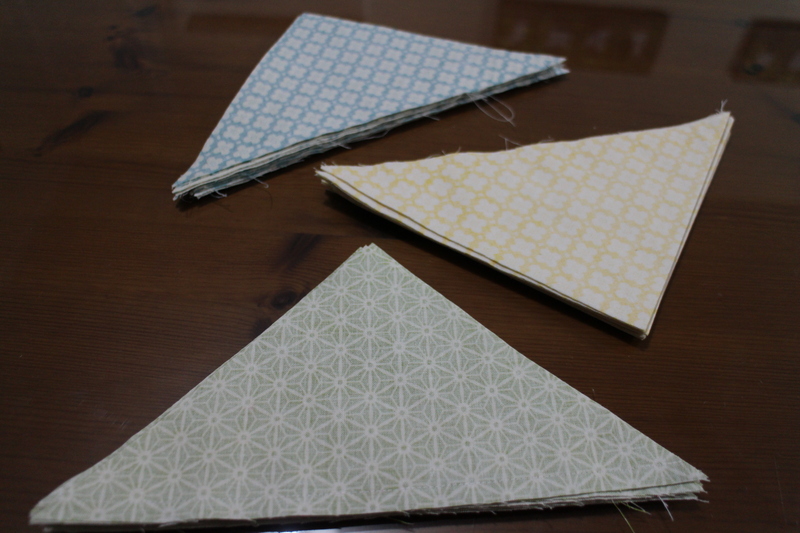 Turn the material, and sew off the corner. 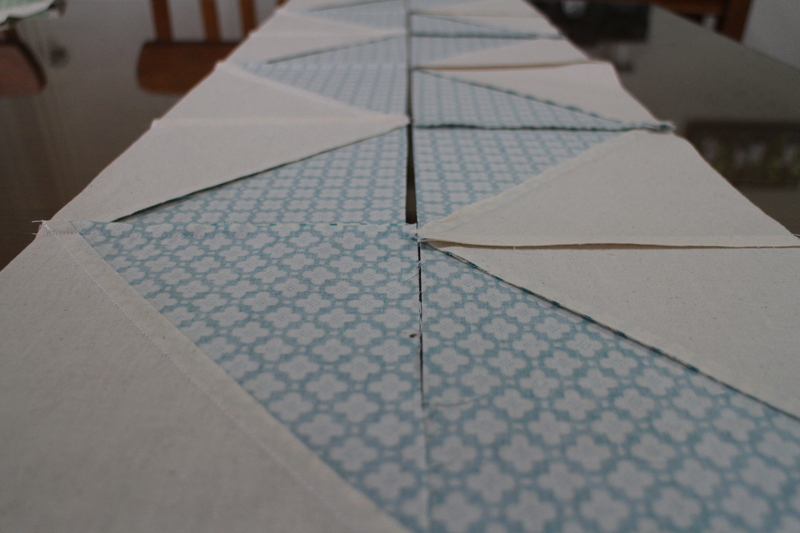 Fold the binding back on itself and then down the direction of the next side. 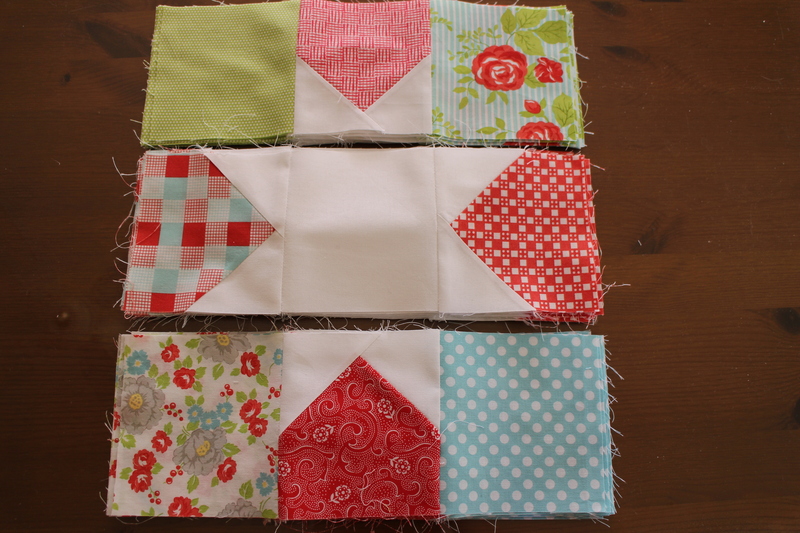 You can then put the pressure foot down, and keep sewing. 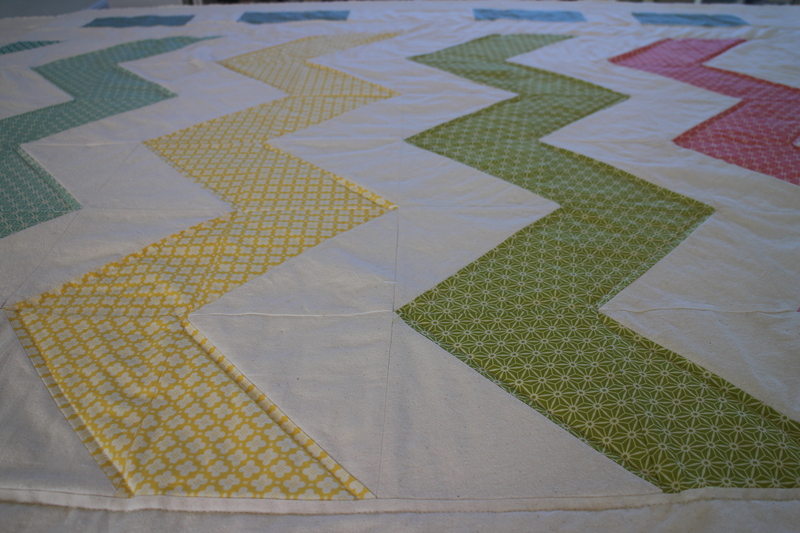 This will make a perfect corner when you turn the binding over to the back. 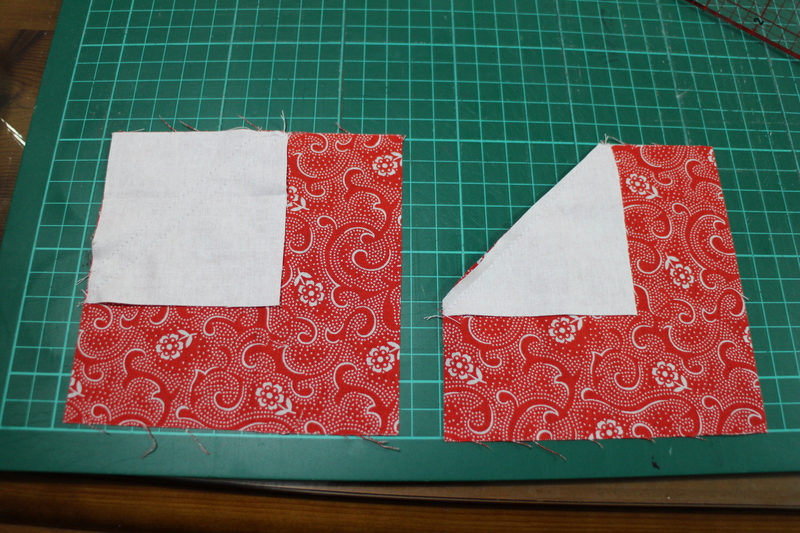 Fold the binding around to the back and stitch into the ditch on the good side. 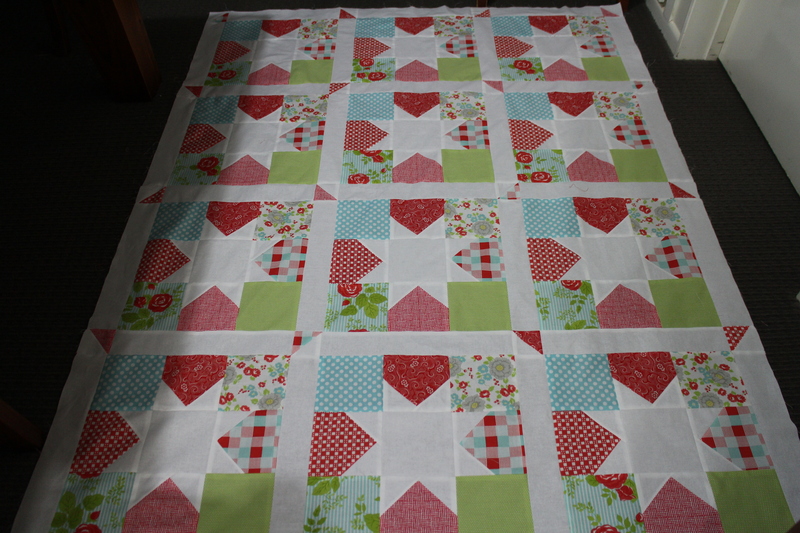 This will catch the binding on the back and sew it all down nicely. 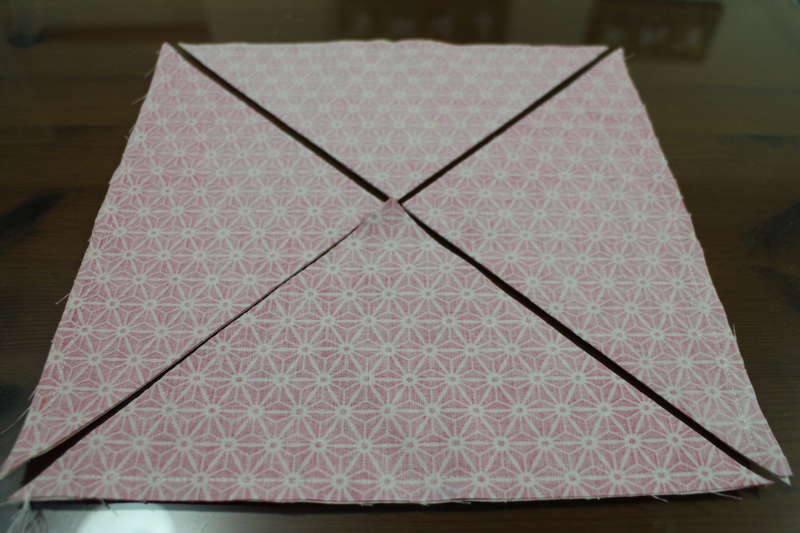 You will need to fold and turn the corners to match with the front. 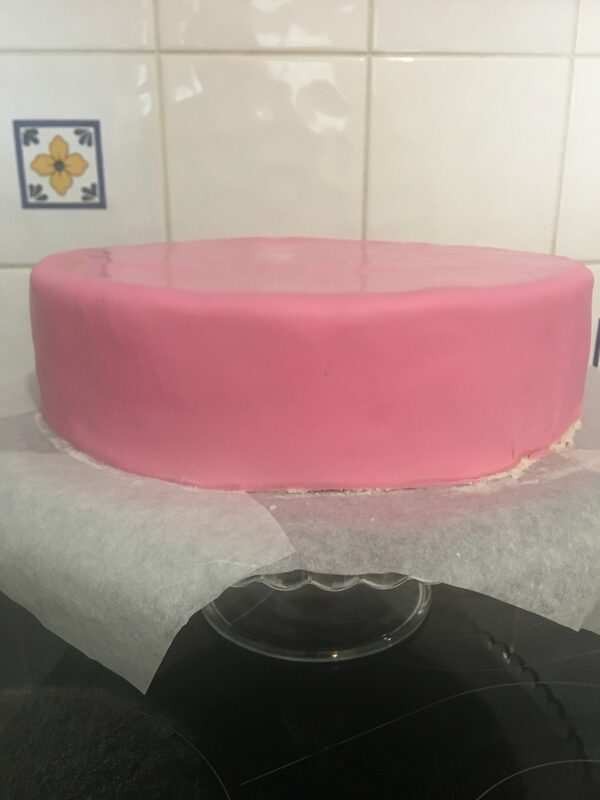 I thought it would be great to show you the process I used to make G5’s 4th birthday cake. I decided to make her a vanilla cake. It is nice and plain and yet moist and tastes yummy. I doubled the mixture and it cooked nicely in 50 minutes. 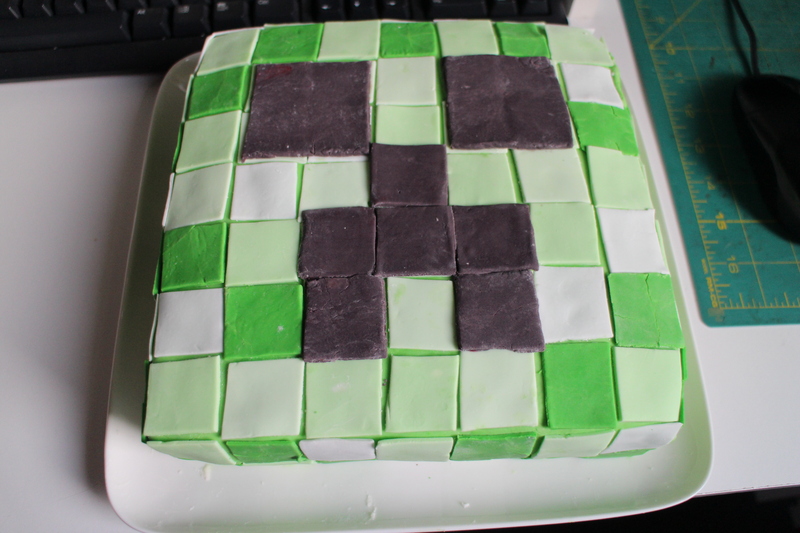 Next was to even the cake, make it level and cover with butter cream icing. 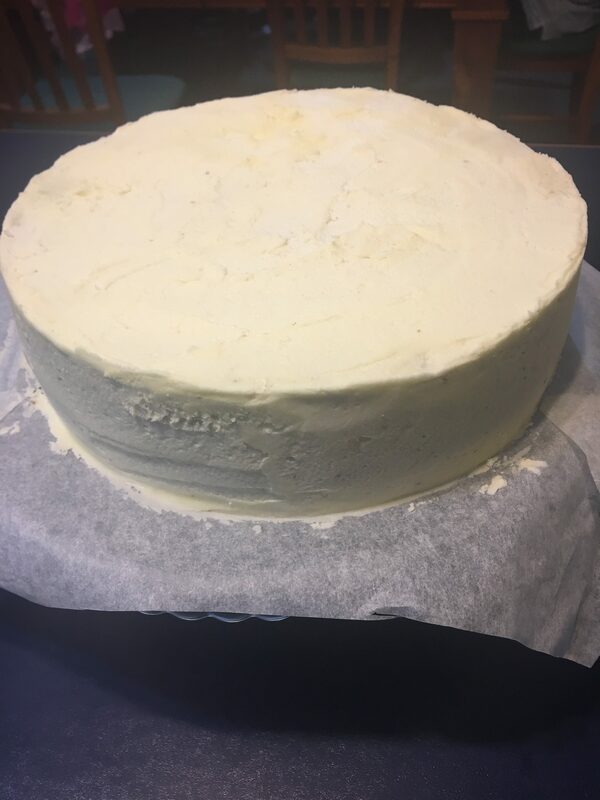 Once covered with the buttercream icing, I put the whole cake into the fridge to harden the butter so I could smooth the icing ready for the fondant. I was a little worried here as the cake was very cold and the fondant once rolled and placed on the cake, sweated and went quite shiny. It actually worked well for adding the next layer of fondant. 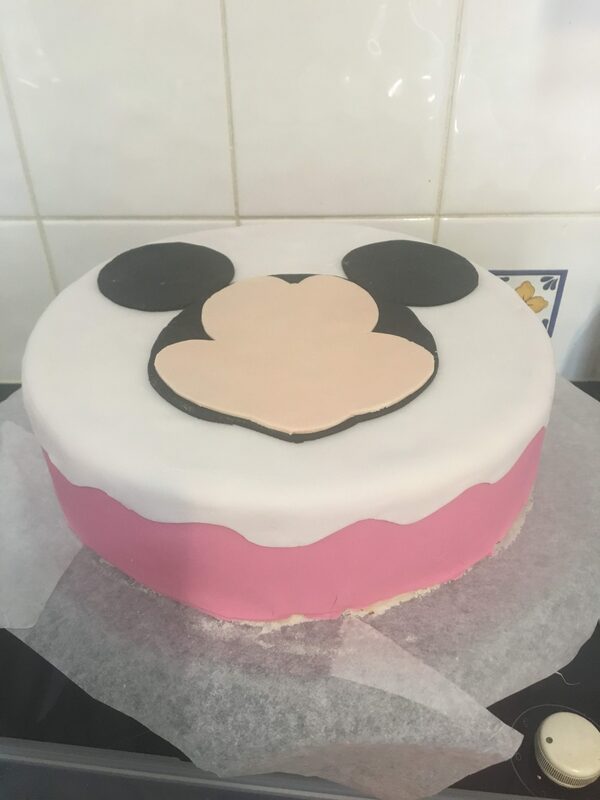 White fondant placed on top of the pink, so that the Minnie mouse face will eventually stand out. 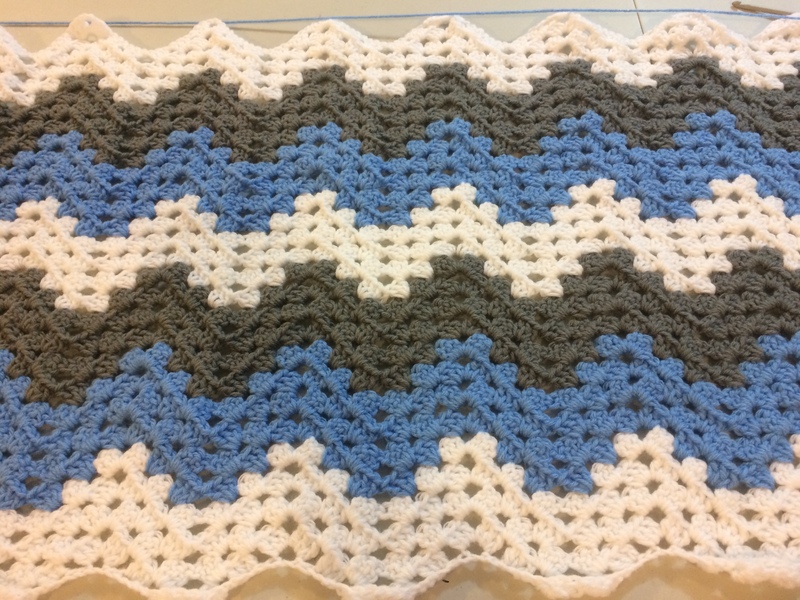 I just cut it with a wavy edge. The next step was to print out an outline of Minnie mouse a few times and then cut out the layers on the paper. These layers were placed on the coloured and rolled out fondant and cut out with a sharp tipped knife. I was pretty pleased with how easy it was to do, and how it all fitted back together. This was going to be my finished product, but I just wasn’t happy with the bow. It should be white spots not green! I was suppose to put a lot of white dots in various sizes around the sides of the cake, but decided that little flowers would be prettier. G5 is pretty happy with her first look at her cake. 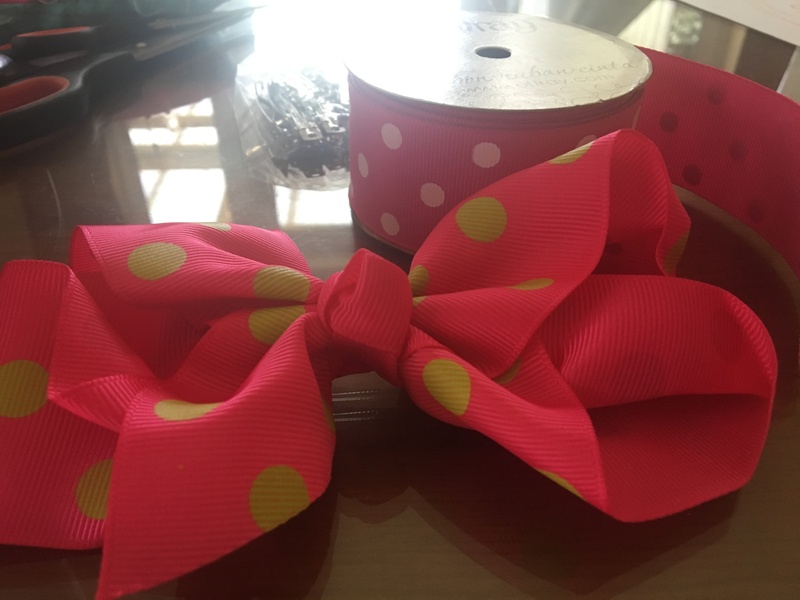 The new pink bow with white spots looked great! 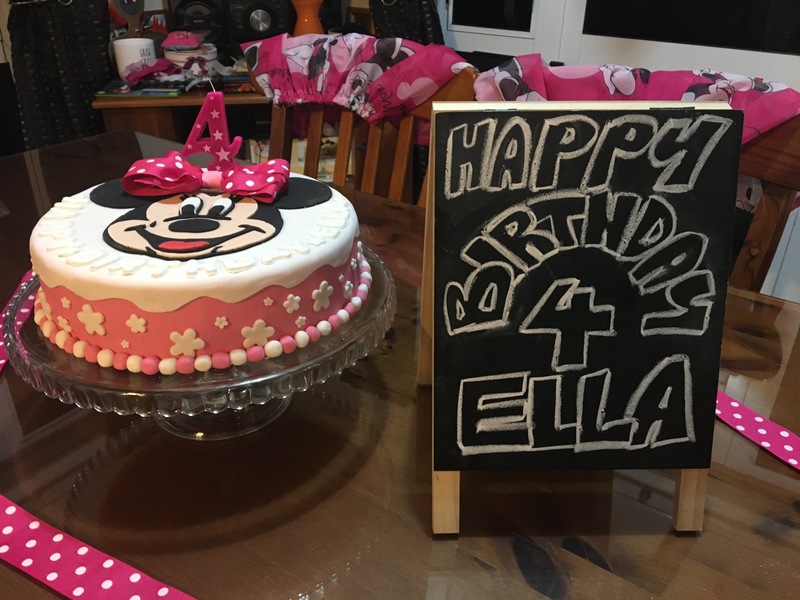 I added white lettering to say Happy Birthday and a pretty pink number 4 candle. Around the bottom edge of the cake I rolled little balls of pink and white fondant and placed them all around. It turned out great, and G5 was very happy with her cake. You don’t even have to have lots of cake decorating products. 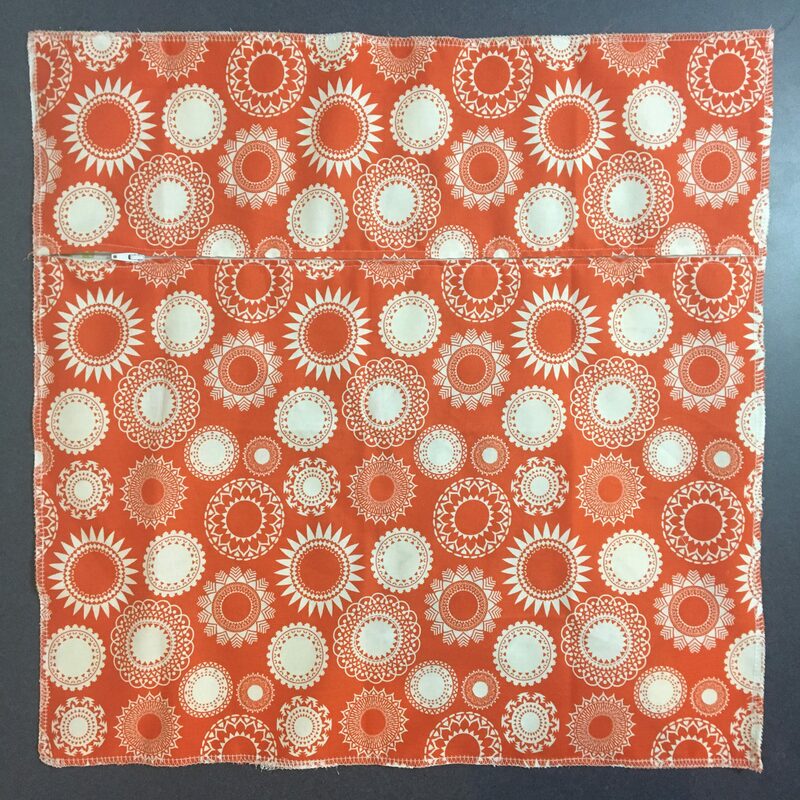 I have a mat that I purchased from Ikea to roll the fondant on. 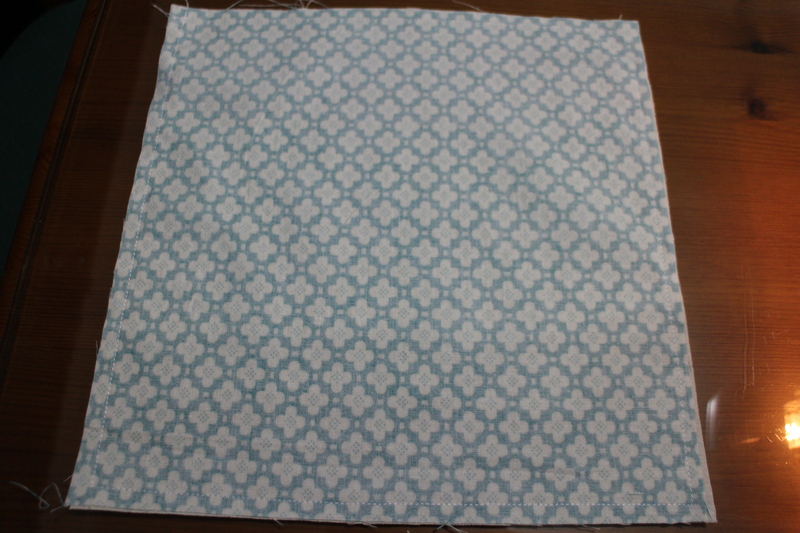 This mat can roll up with the fondant on it, and then I unroll the fondant over the top of the cake. I guess that mat is my one purchase that I can’t do without. The playdoh letter cutters have been used many times, and they aren’t even sold as cake decorating things. 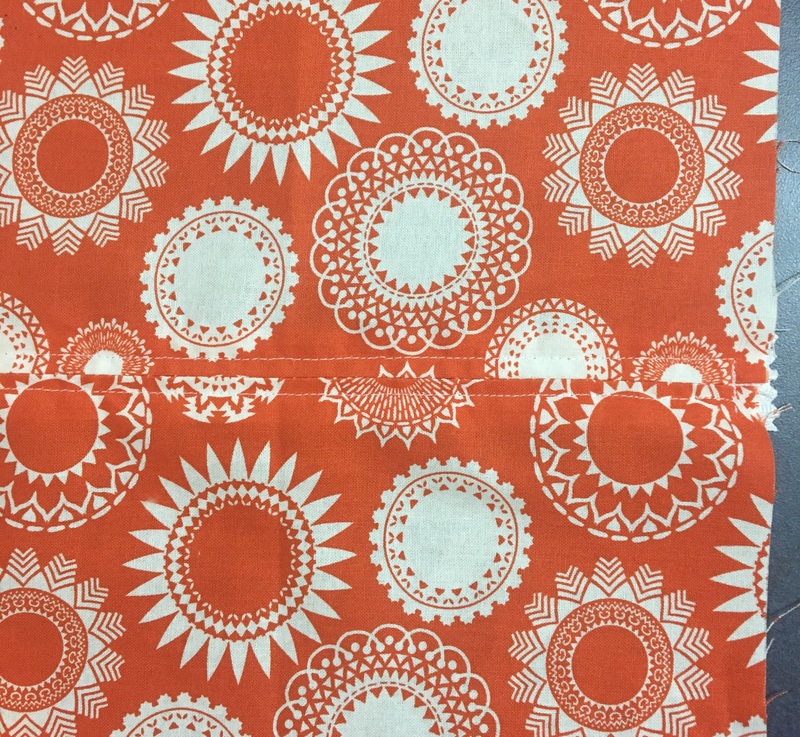 The rest can be cut out with a paper pattern and a sharp tipped knife. 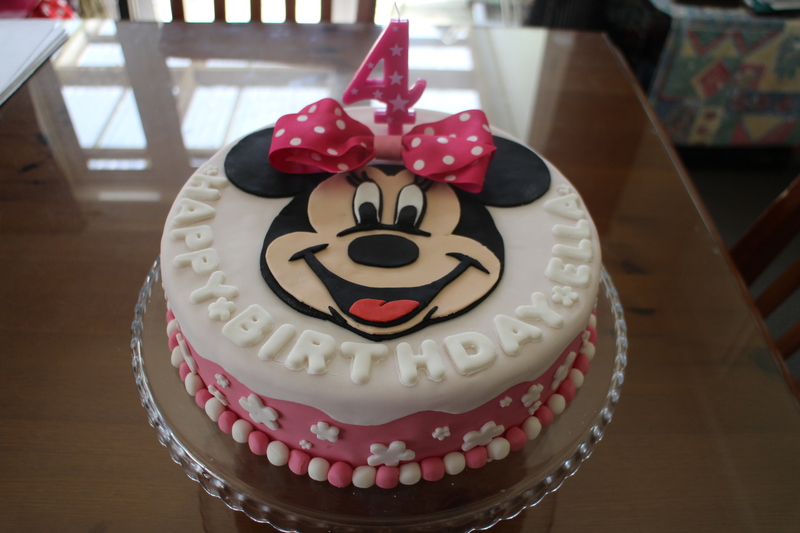 And I have had the opportunity to once again create some children’s birthday cakes. 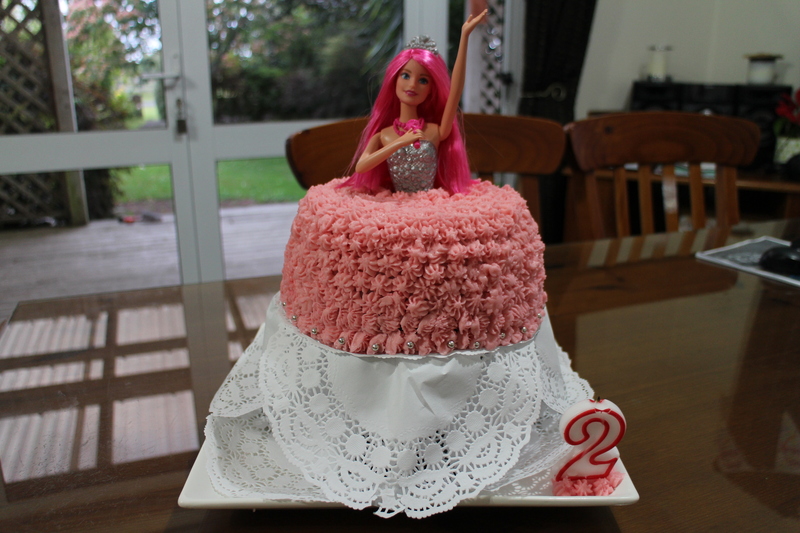 The first grandchild’s cake I made was actually for G7, who lives in London. 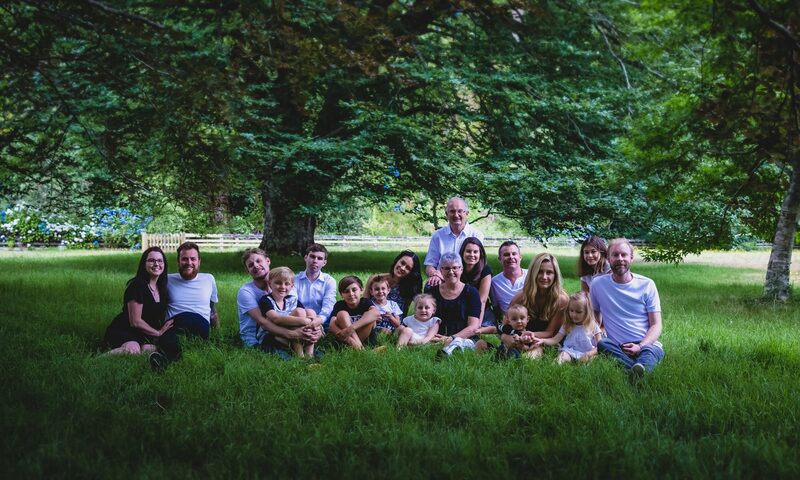 Her daddy and her came for a months holiday and she was turning one just after she arrived back in London. I wanted to give her a New Zealand birthday as well. 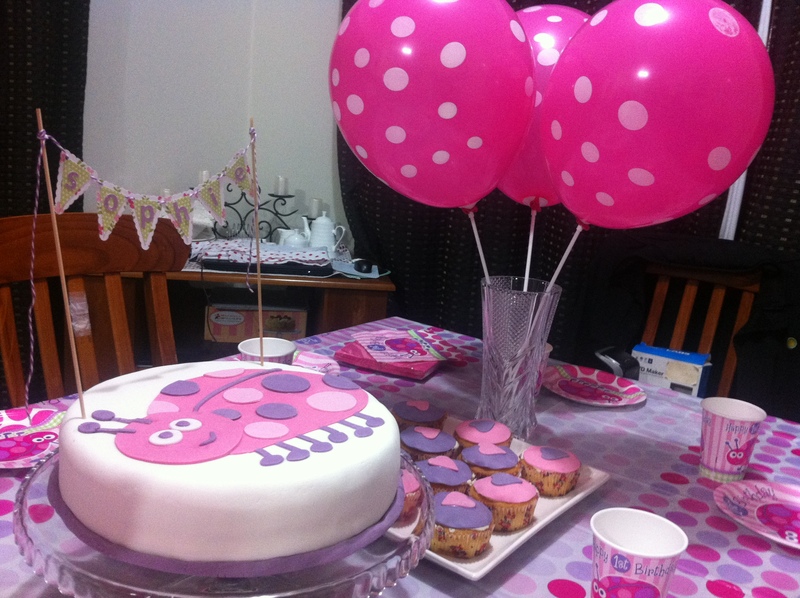 I found a very cute birthday party set of cups, plates, napkins and table cloth of a pink ladybug. 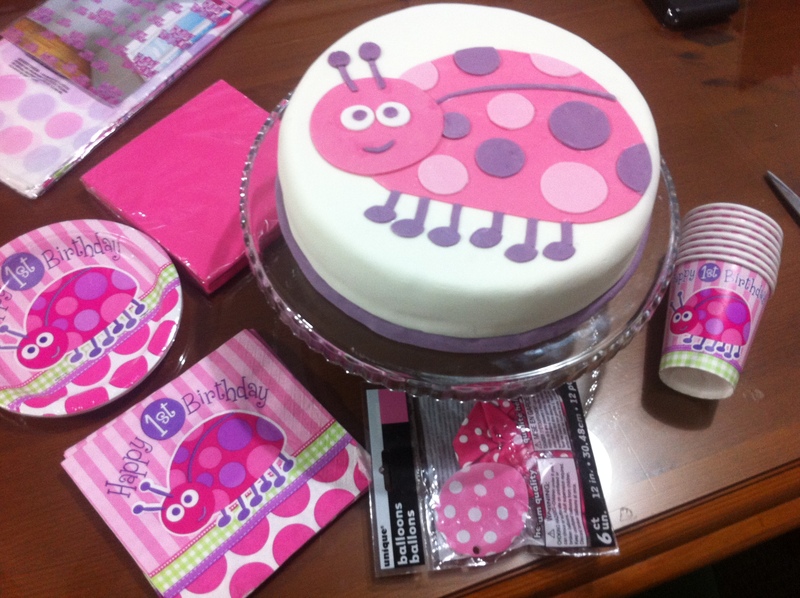 I copied the picture of the bug and made that the design for the cake. 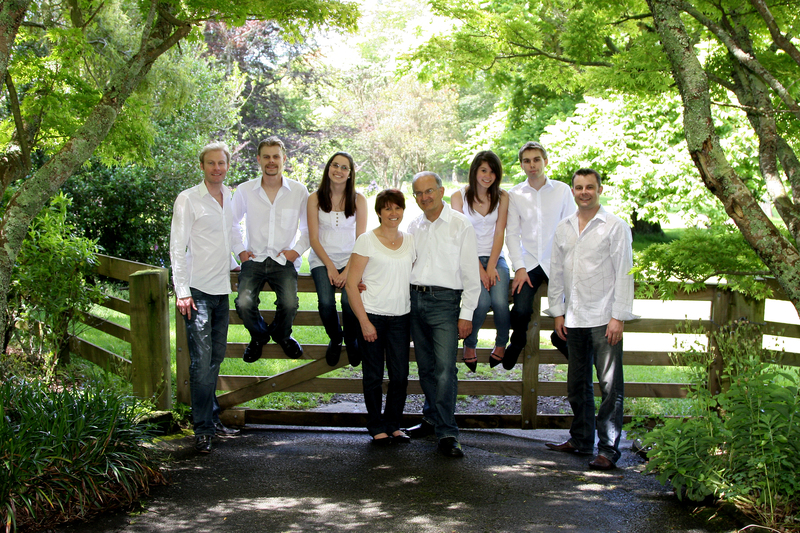 The first of the three who live here was the oldest of the three, G2. He turned 10 late January, 2016. He is really into minecraft! He watches you tube videos of people playing the game, plays it on the PS3 and talks about minecraft all the time! 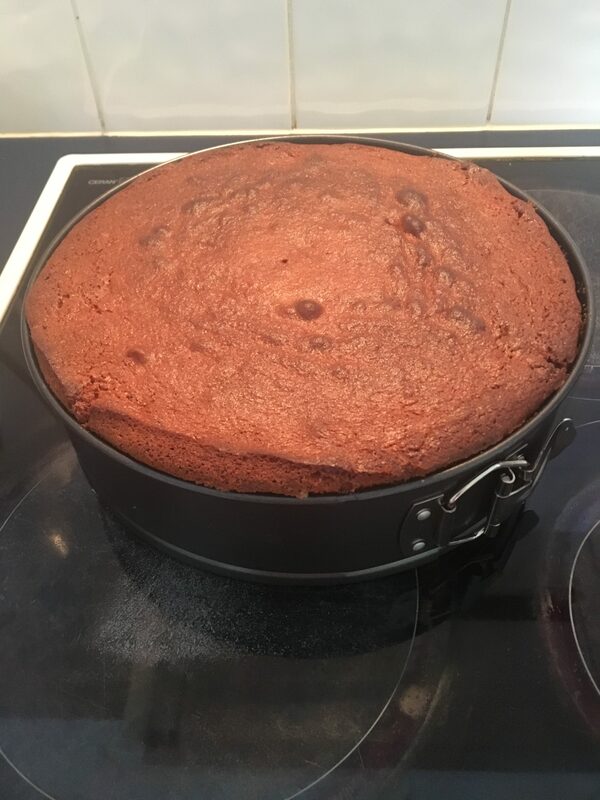 This was such an easy cake to make. Just a simple round cake, green fondant with little fondant squares cut out in various shades of green, fondant letters cut with playdoh cutters, and minecraft ‘lego like’ blocks. 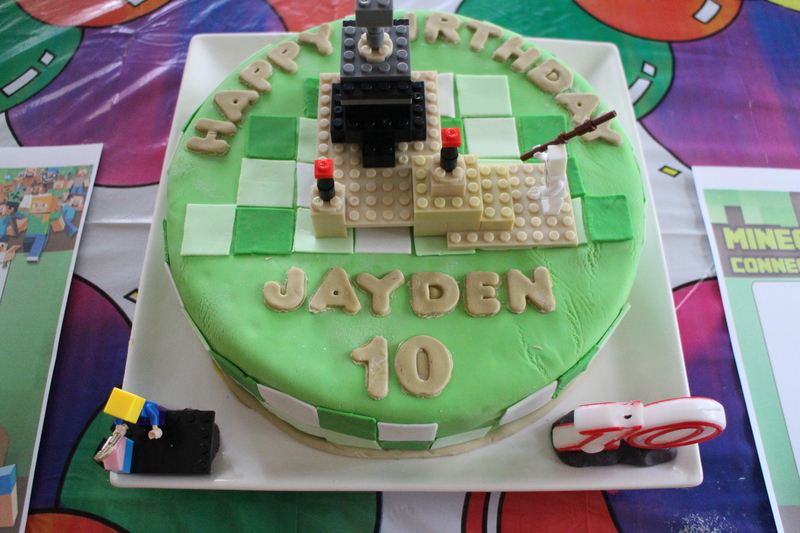 Jayden also liked creeper and wanted a minecraft creeper cake, so I made him an extra cake as well. 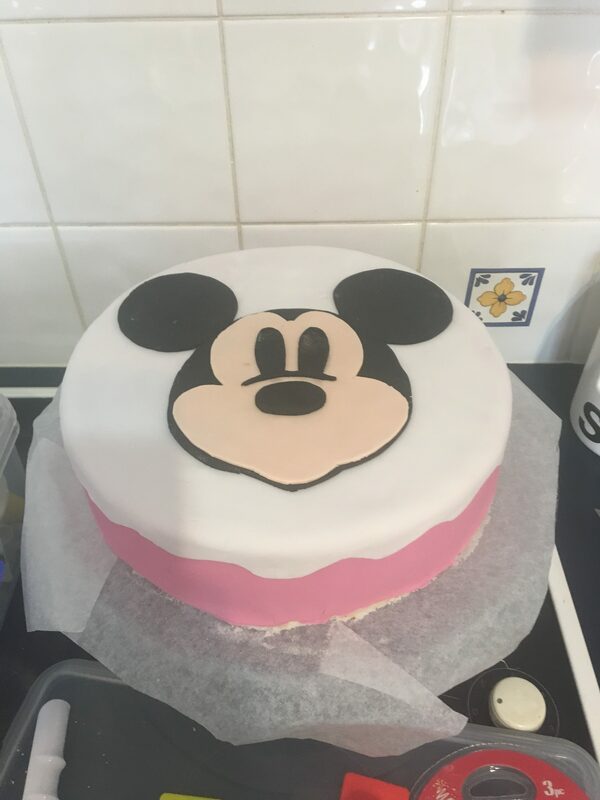 This was a pretty simple cake to make as well. And with the added cupcakes for the party. 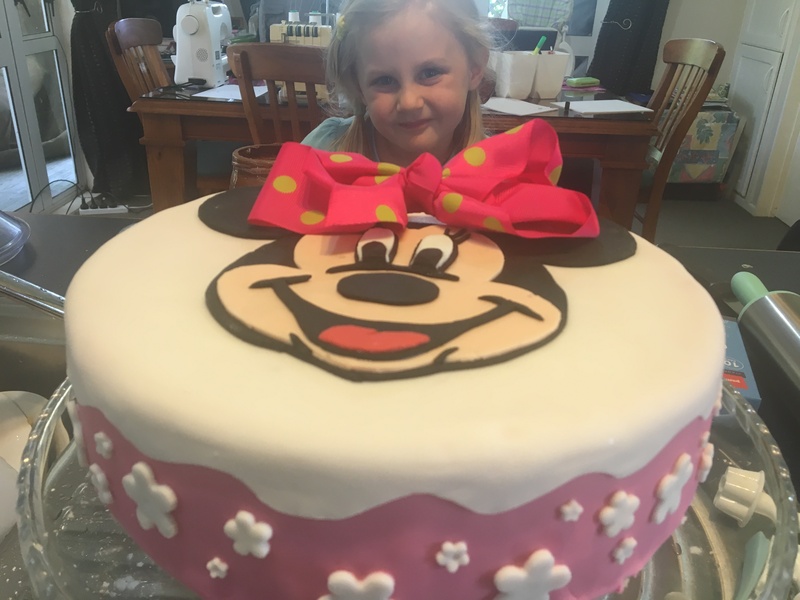 G5 was a very happy little girl and I was quite happy with the finished product. The next birthday was in the May, when G4 was turning 7. 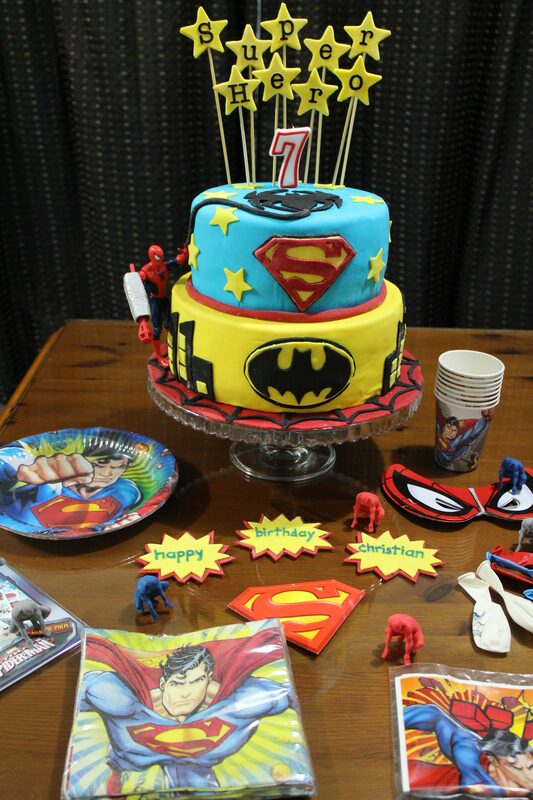 Look at his cake! It was a big one! I had so much fun making this cake. I had brought the party supplies from Spotlight so decided to make the cake to go with the table decorations. G4 loved it. 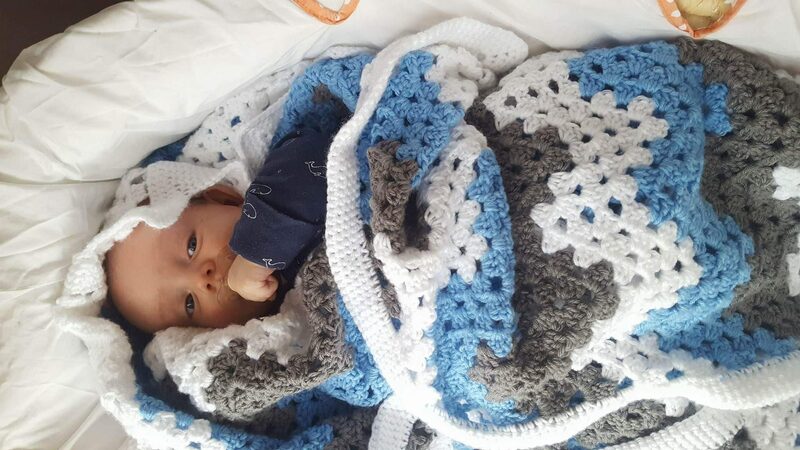 He is a very active little boy and it suited his personality totally. We even went to a indoor trampoline park for his party. He and his friends jumped around like superheros the whole party! Skip the rest of the year, and we are now back to G2’s Birthday. This time his 11th. The theme for this party was Pokémon. This kid collects Pokémon cards, and has about 4 albums full of them! He also likes, and knows the names of heaps of the Pokémon characters. 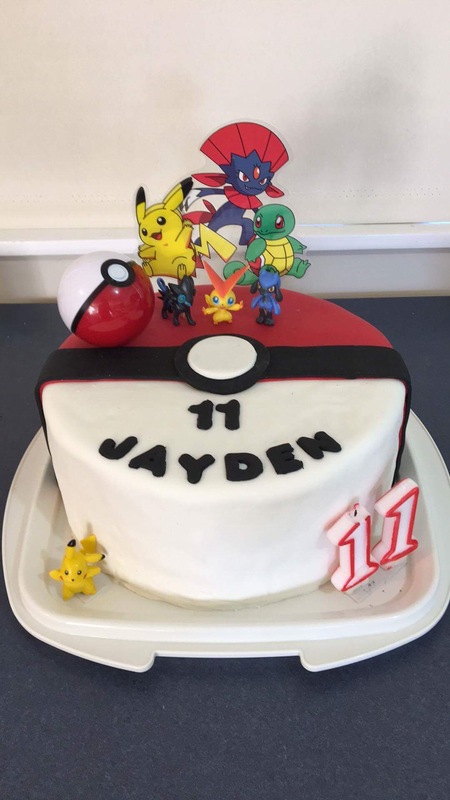 So it HAD to be a Pokémon cake and themed party. We started off G2’s birthday with a Pokeball hunt. 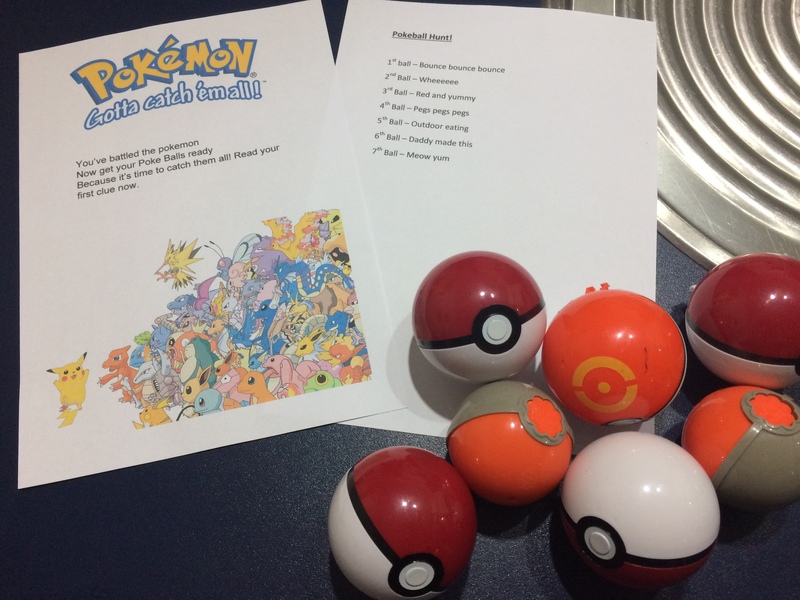 Each Pokeball had a little character inside. 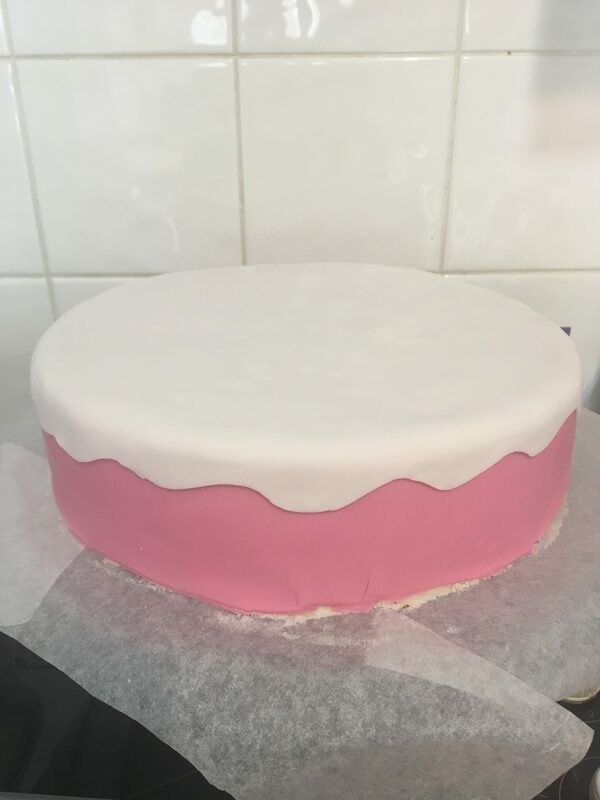 So, I am now getting lots of practice making Birthday cakes again. The week after G2’s birthday is G5’s birthday. 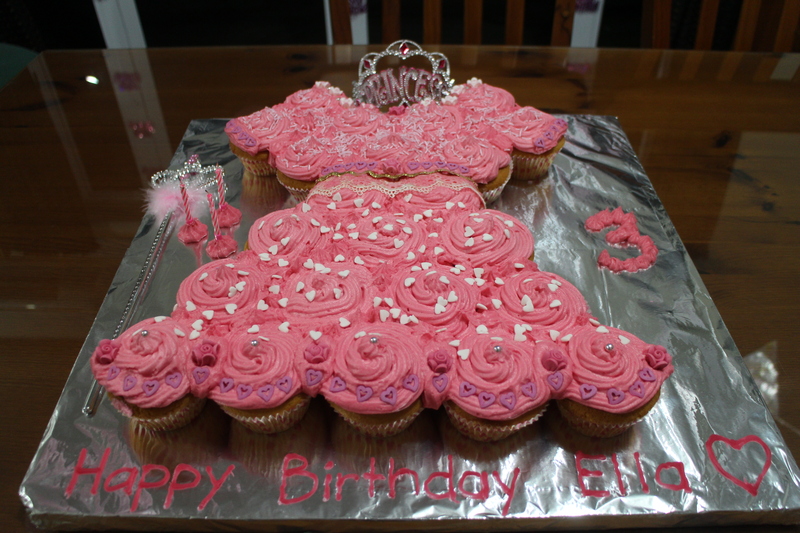 This time (after searching Pinterest) I decided in making her a princess themed birthday, making her cake out of lots of cupcakes. 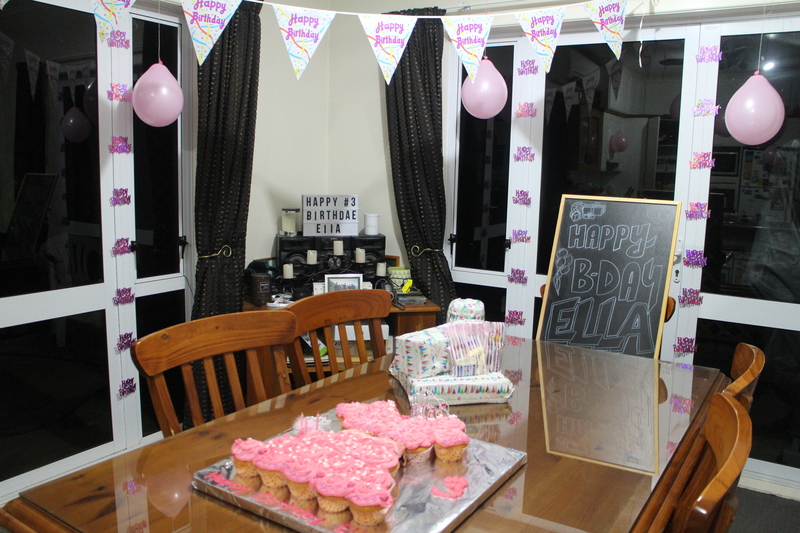 It was lots of fun, and I had to stop myself from putting too many decorations on the cake! For G5’s birthday celebration, we went to the movie Ballerina with some friends. G5 had party bags to give her friends at the movie. 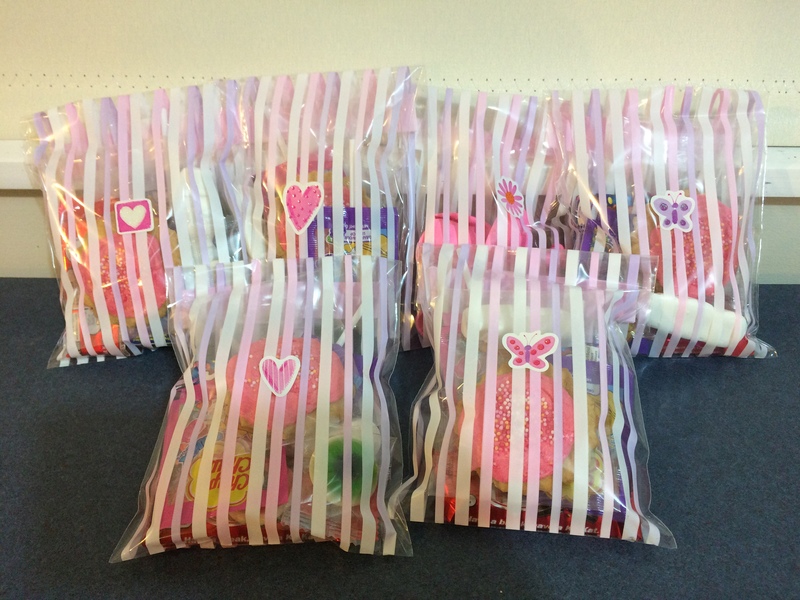 Party bags for Ella’s princess party. We even went to the movie Ballerina, and the girls were able to eat the goodies during the movie. 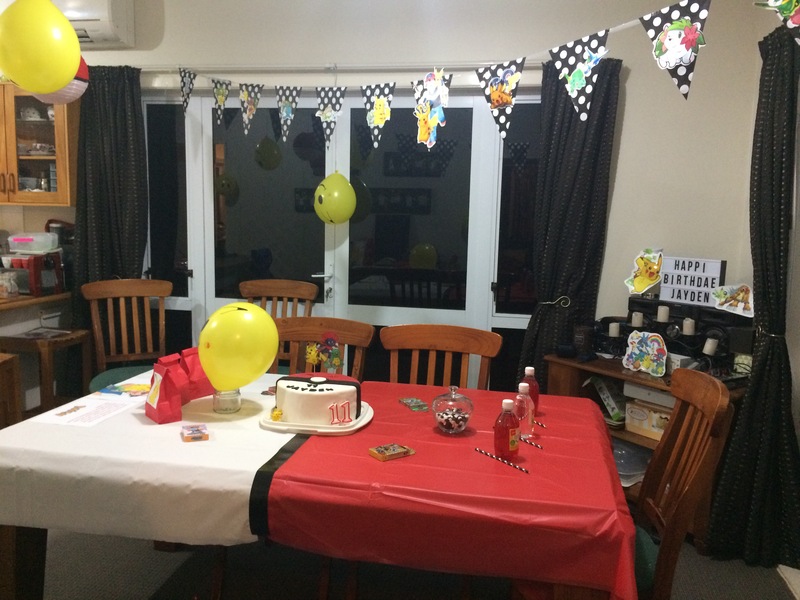 After G5’s birthday in the February, I travelled to Sydney for G6’s 3rd birthday. 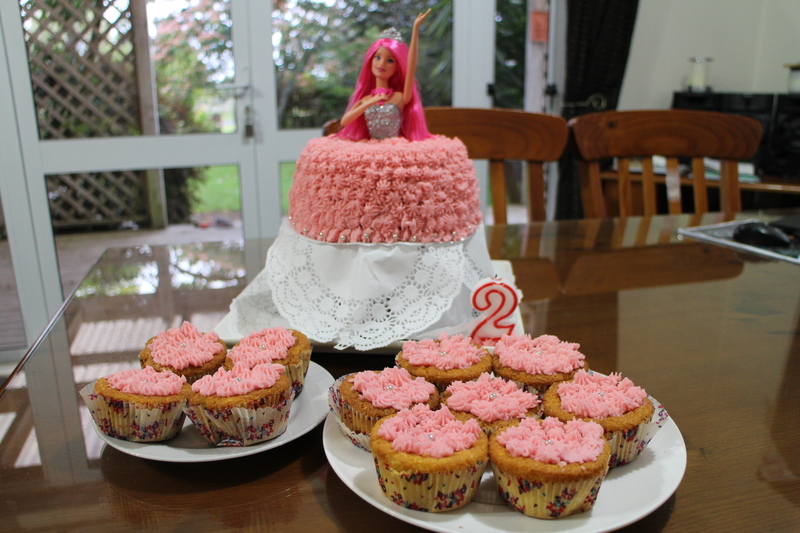 Now, I didn’t make this cake, but his Mummy did, and she did a great job. 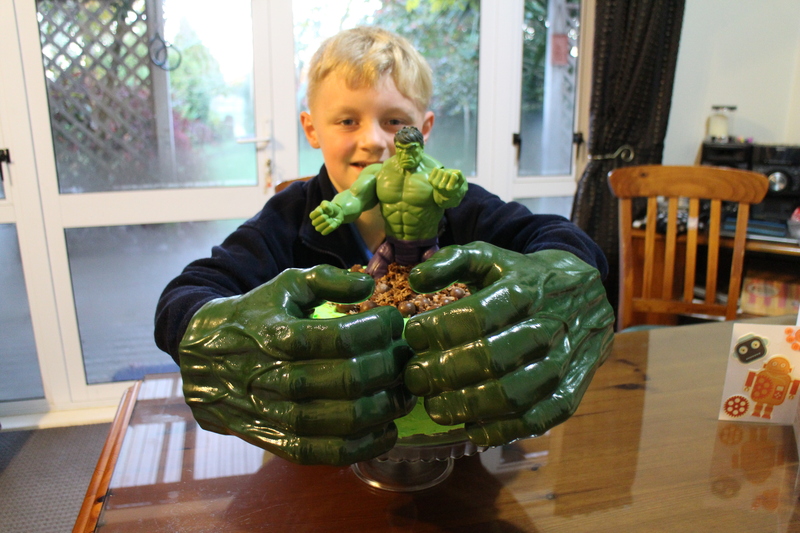 G6 loved his cake and he had a wonderful birthday party. 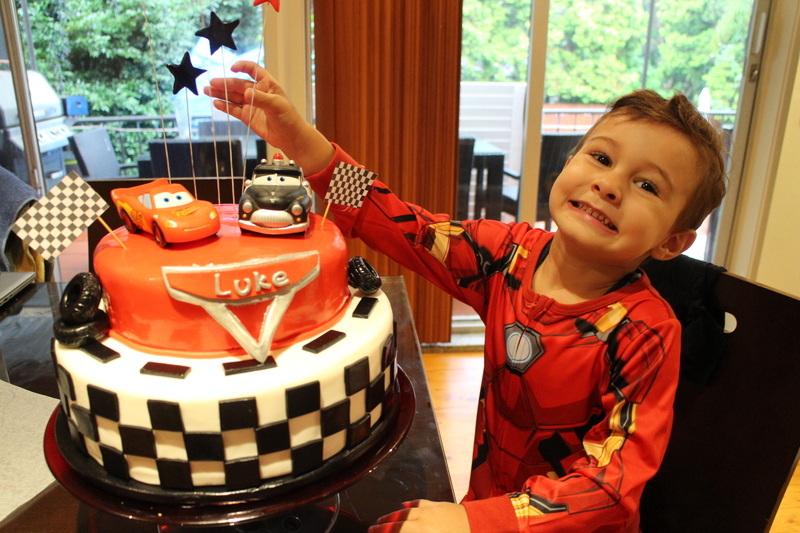 Happy G6 with his Cars cake! 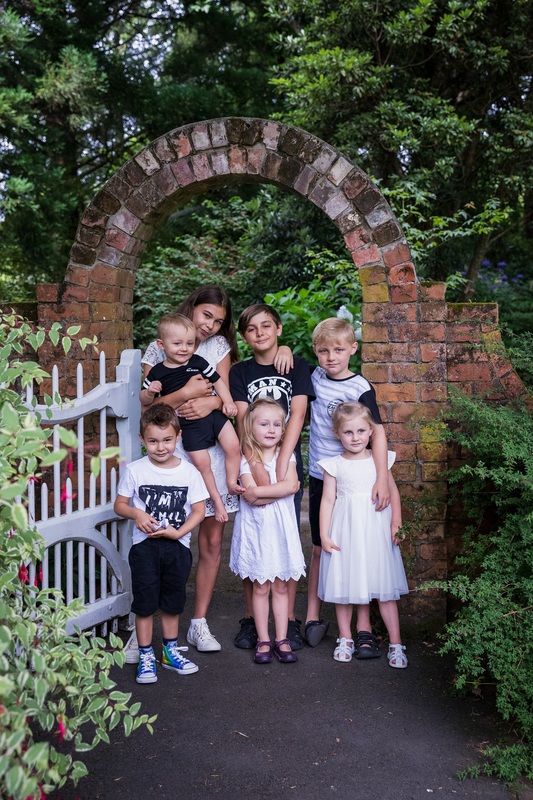 In May 2017, came G4’s 8th birthday. By now I’m loving Pinterest! And as I was looking for easy boys cakes, I found this one! It became the theme for his birthday, and presents! 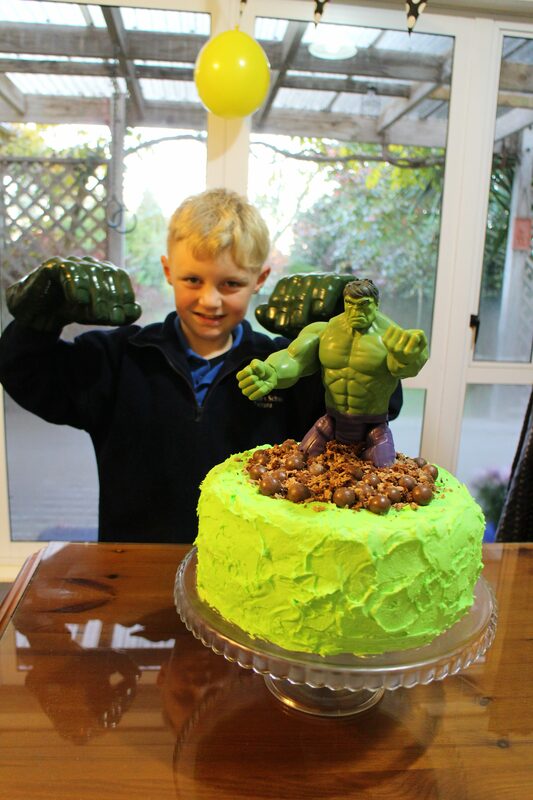 Incredible Hulk hands around the cake! His cake had two layers. A Vanilla cake for one layer and a chocolate cake for the other. I put the layers together, and iced all over, with vanilla buttercream icing. 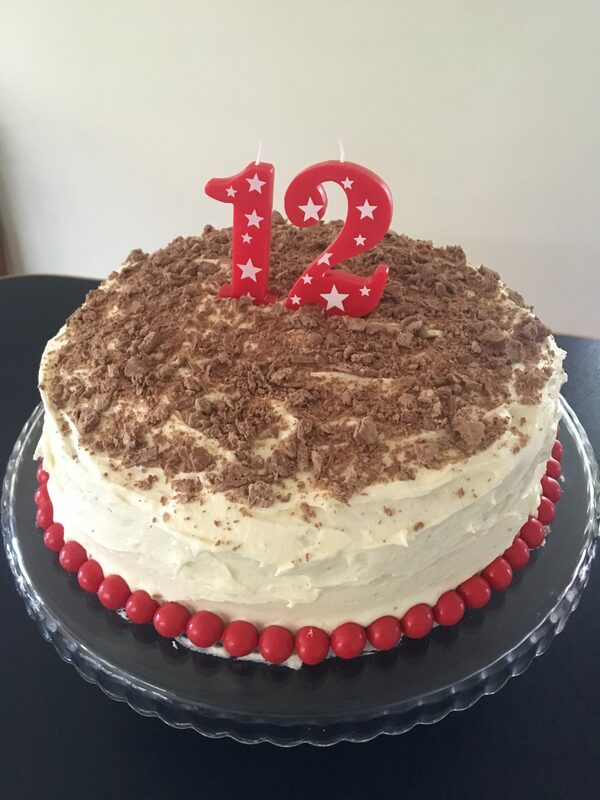 Broken flake chocolate for the top, number 12 candles, Jaffas (chocolate/orange lollies) around the bottom edge and it was finished! It lasted all of two days! 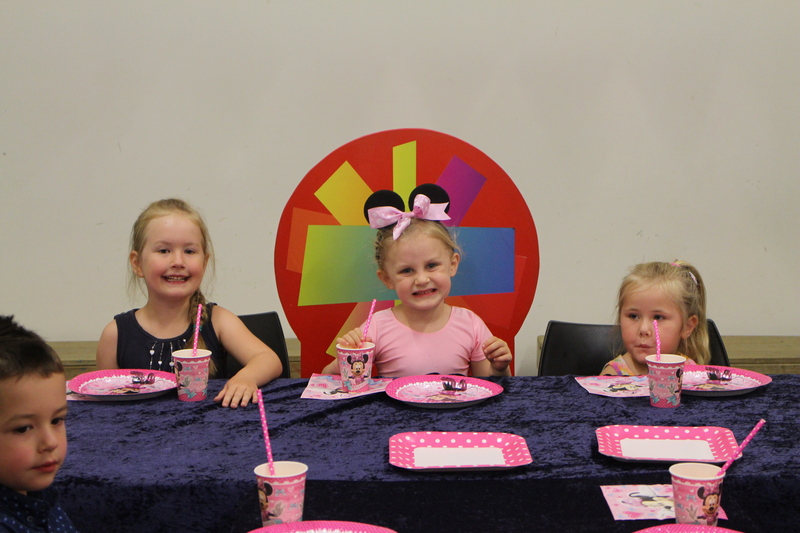 While shopping in Spotlight one day, I came across a pink Minnie Mouse party pack and decided that as G5 has a Minnie Mouse that she cuddles and plays with a lot. 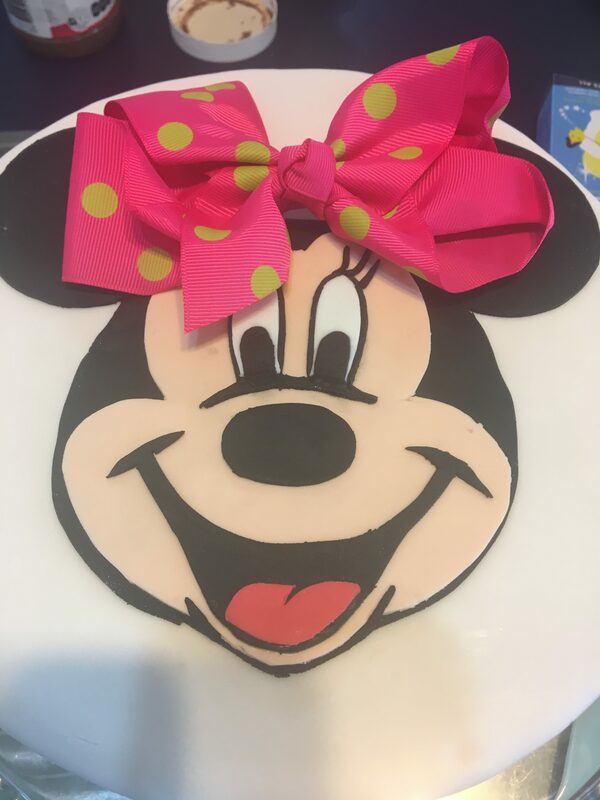 Pink Minnie Mouse should be her birthday theme! 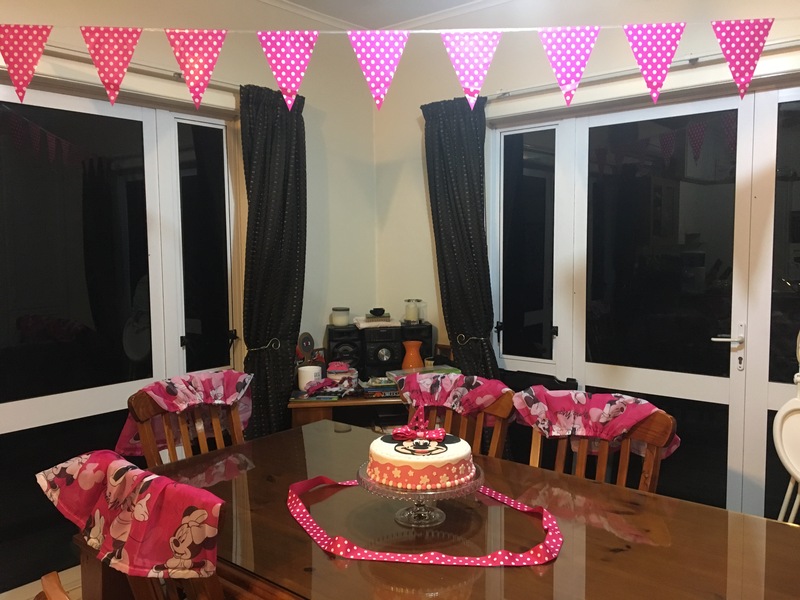 I also brought some Pink Minnie Mouse Curtains and decided that I could definitely make something out of them to fit the theme of the party. Before the food and cake was brought in. Cute pink minnie mouse plates etc. Look at our cute G5 minnie mouse! 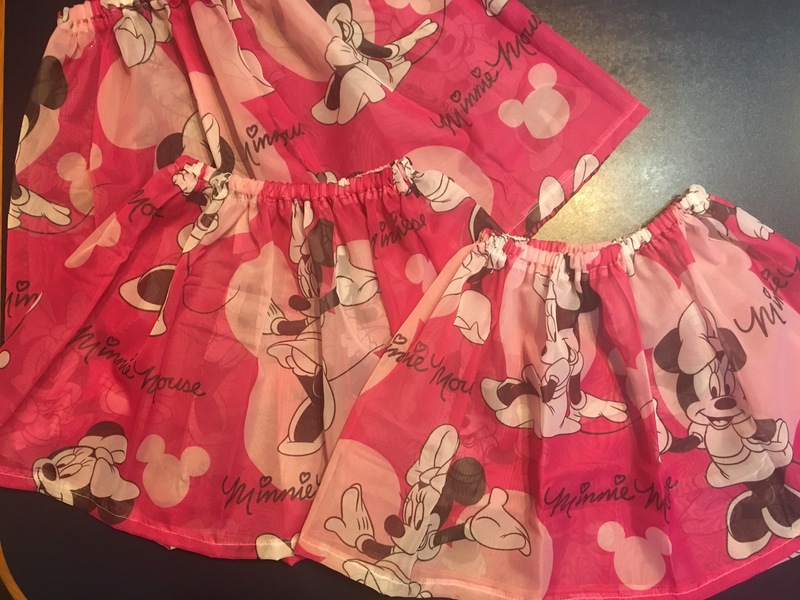 The pretty pink minnie mouse skirts. 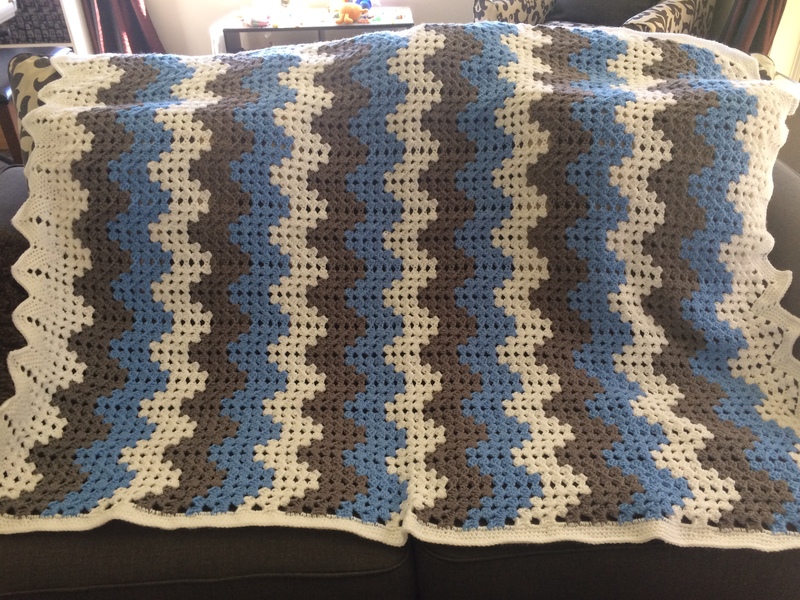 I made 5 of them. 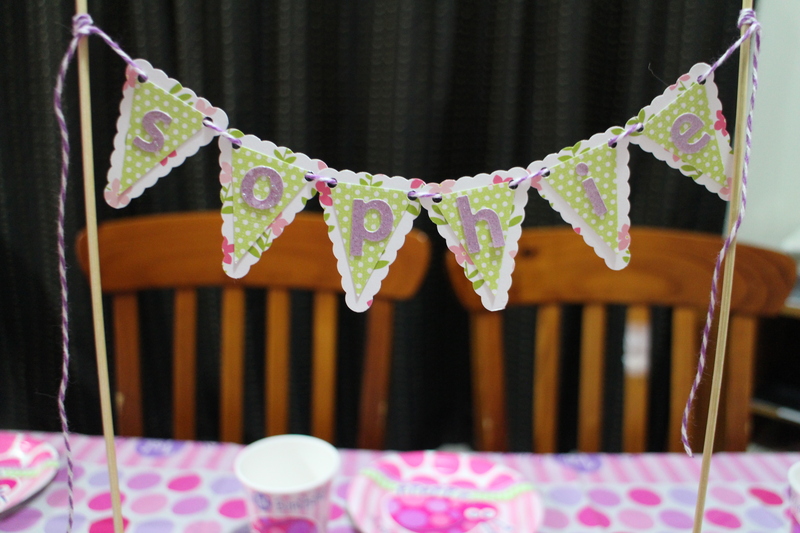 One for each of the little girls that came to her party.